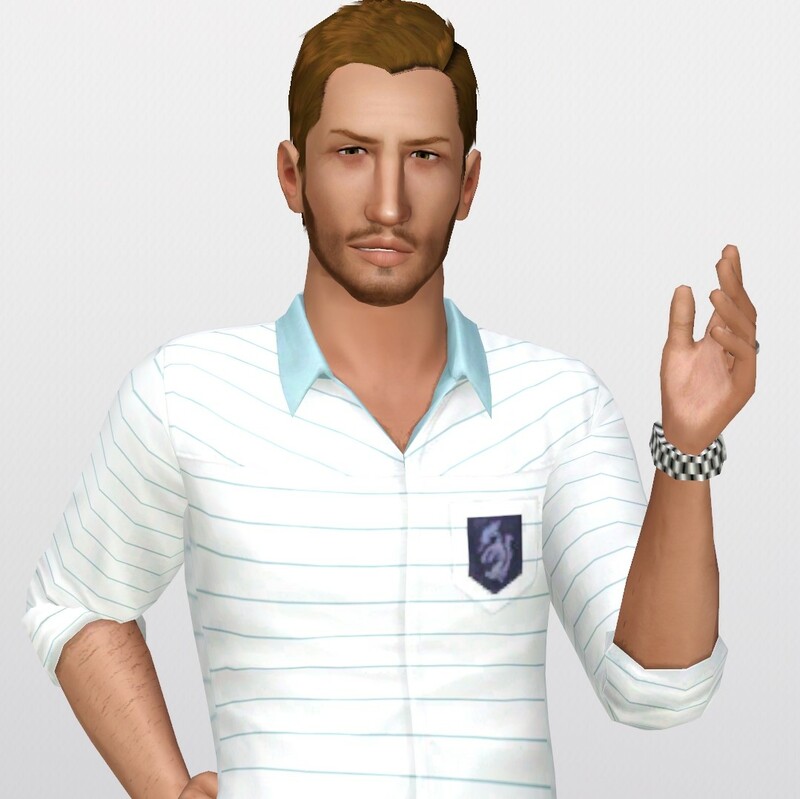 Here's my version of Gavin Pinkerton done ages ago. I tweaked him only a little, mostly by narrowing his jaw. 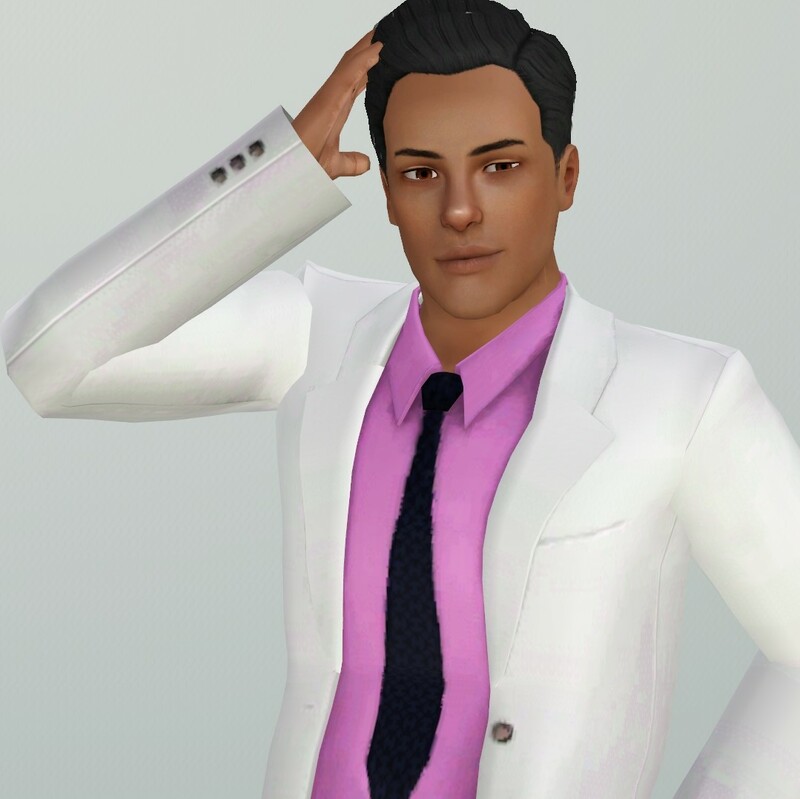 I think the rest is just a CC skin and different hair, etc. @Emily4331 Oooo! You posted more!! Christopher Collins would be a hottie with shorter hair. Indeed! Lincoln Porter aged well! @Odonata68 I'm happy to see the males get some love too. 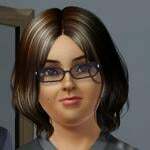 Since a certain simmer on here likes to constantly show off the premade ladies (Tee tee ) and while many of them are pretty...I don't dig women! Be still my heart! So much eyecandy for one girl to handle. I'm currently on a mission to visit all the worlds I own and kidnap...I mean "extract" these gorgeous men to my library. @emorrill initially thought the same about Christoper, but I think that hair suits him too well. I think with MH you have to think a bit outside the box. Are they all models? Nah. But most of them are very intriguing which is attractive in and of itself! 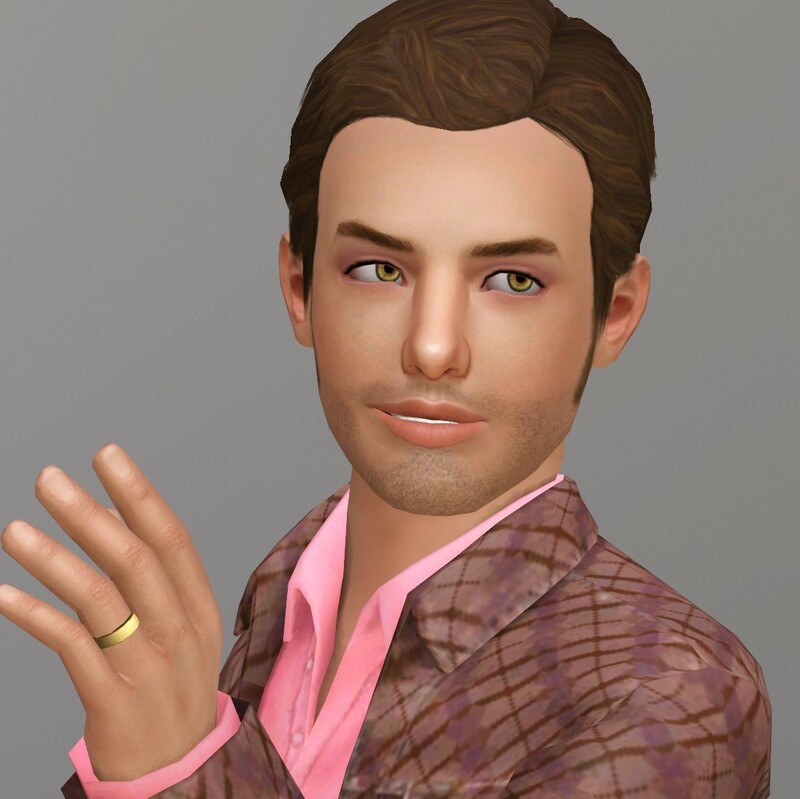 He's one of the Paparazzi in my game. @emorrill Haha! A hot paparazzo? They are like unicorns! Evasive, mystical, magical creatures! I'm going to be working on the next town! 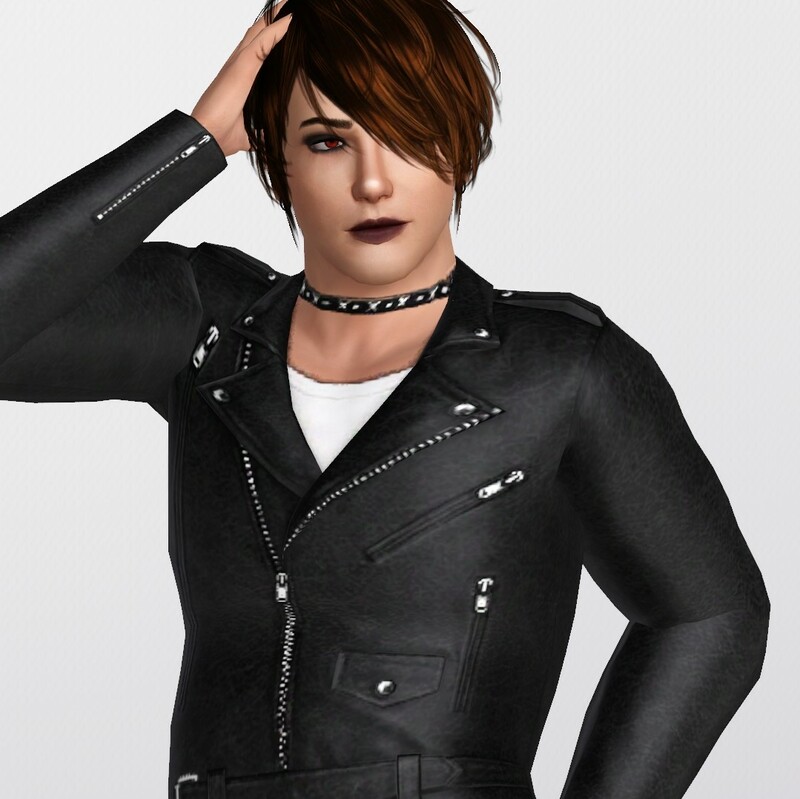 I just realized I forgot Devin Ashton on my Bridgeport list! I will add him soon! Devin Ashton of Bridgeport. Since I accidentally skipped his house in Bridgeport! 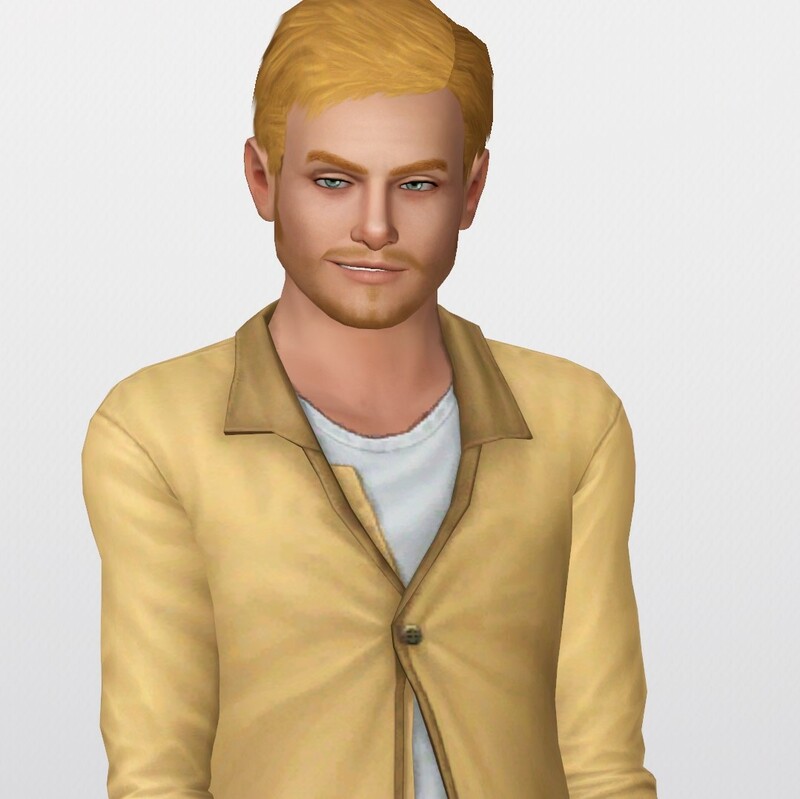 (His clothes are different because I got this version from my library copy of my current family just an older version of them). "Devin is dreaming of making it on the big screen! 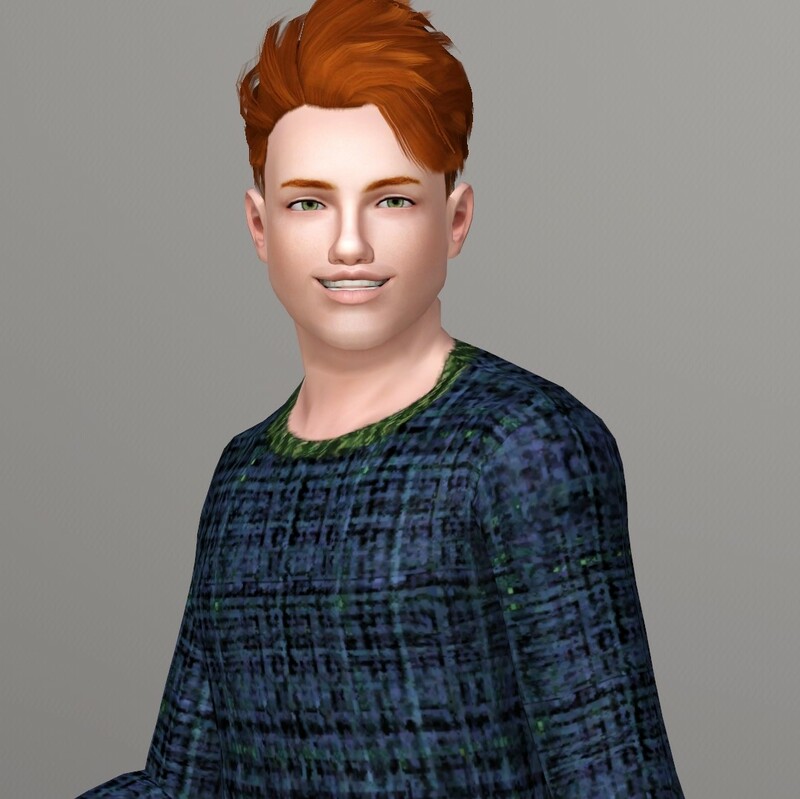 Ever since he was a little boy, he's not only been dreaming of seeing the ultra-famous Matthew Hamming, but to be just like him. 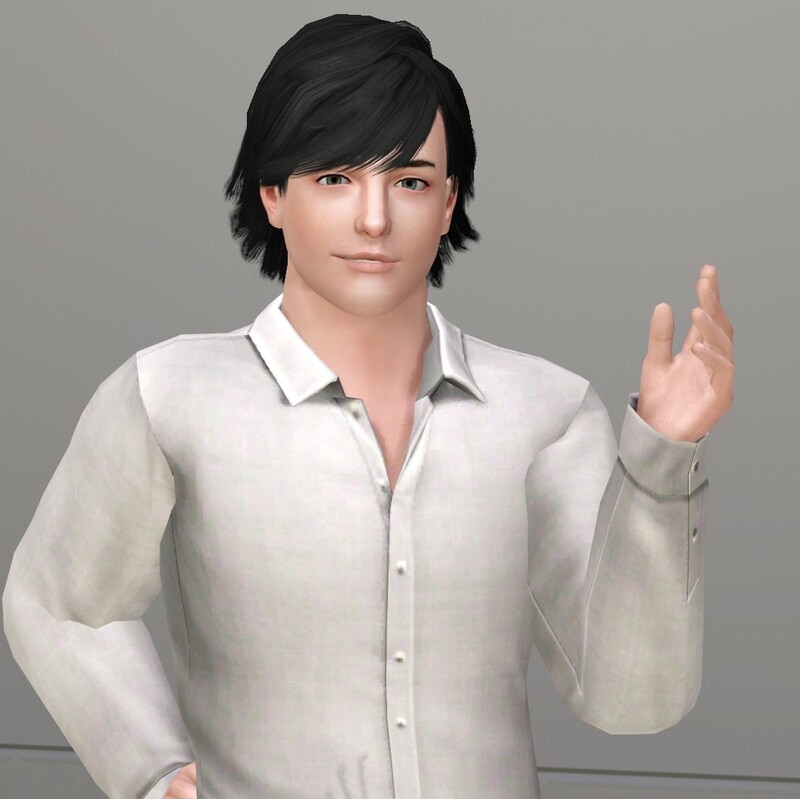 Will this Sim ever to see his dreams come true or will he only succeed on TV?" LTW: lifestyle of the rich and famous. 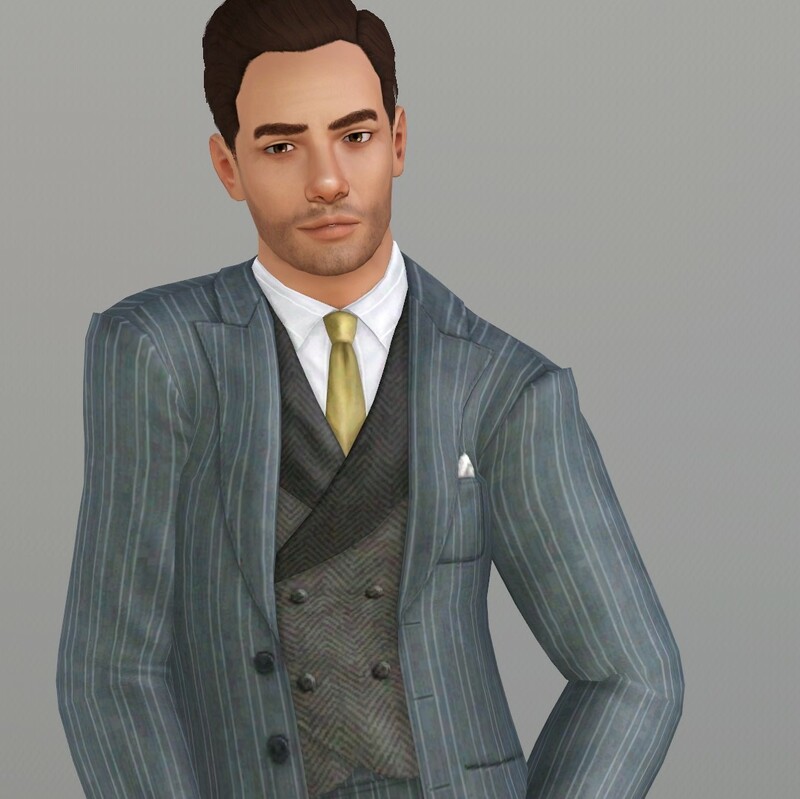 And now....I'm going to make you an offer you can't refuse...In the form of hotties from Monte Vista! Ahh...Mountain View...more like "Bello Vista" ...Handsome View! And you know these guys are lookers, because they were all becoming gay for each other during picture time! Not to be confused with Gwen. 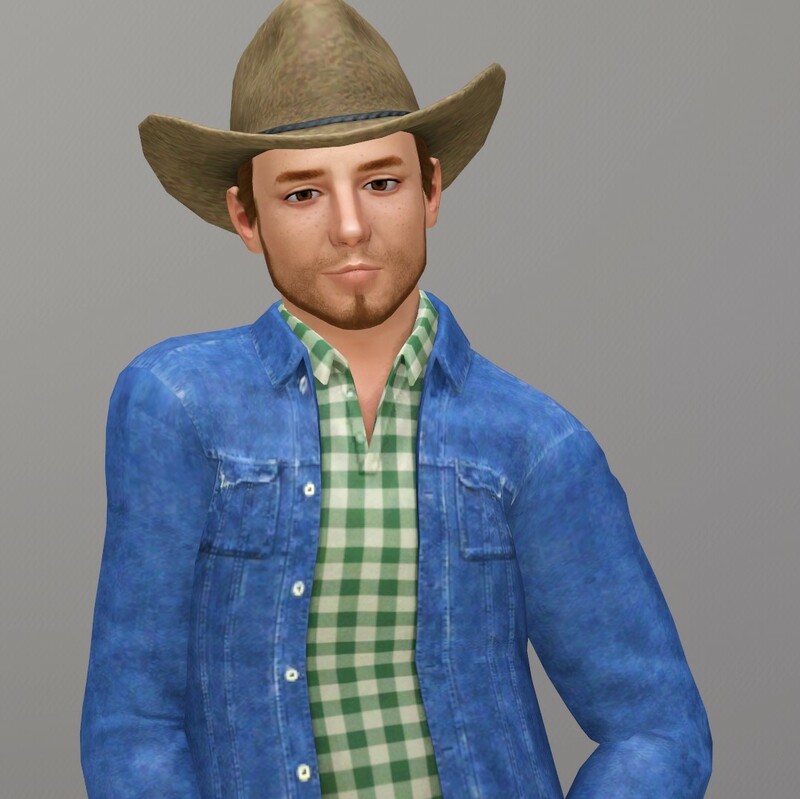 *unfortunately, no unique bios for the denizens of Monte Vista. 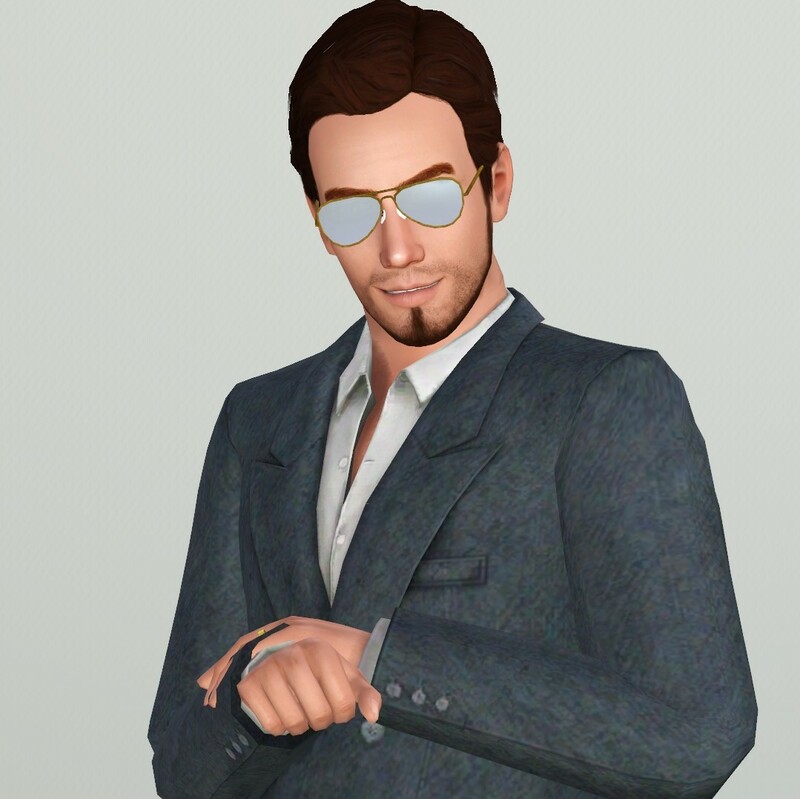 Monte Vista is sunglasses land. 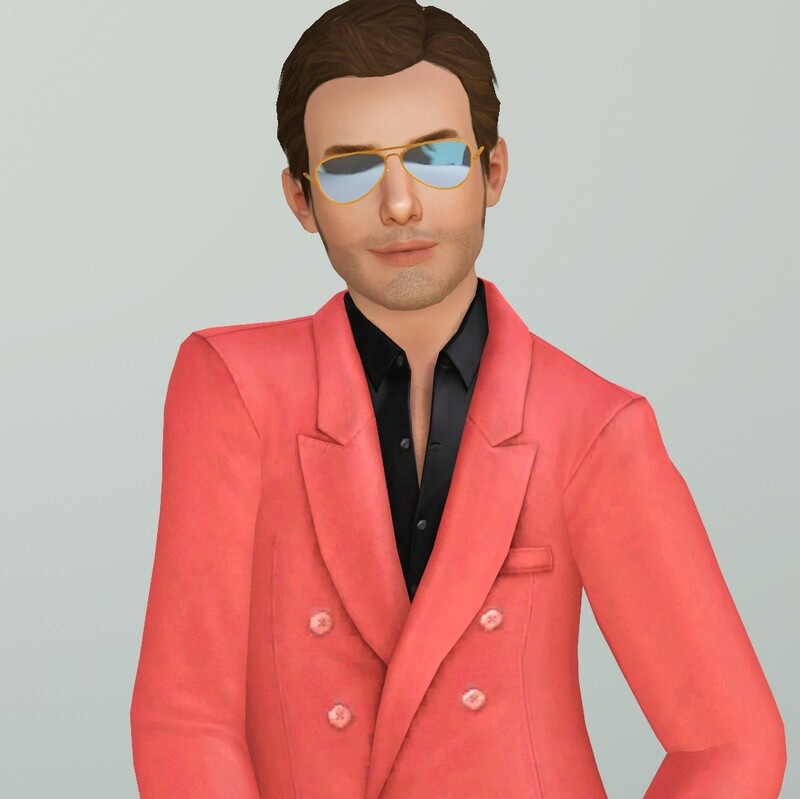 I either had to give in or edit them and because I had 12 sims I just gave into the sunglassed overlords. I can take new pics of the others in a bit. I found this place a bit disappointing. Who cares about fleas when he's this cute? "Dwayne’s doing the best he can to move his family up from their humble beginnings. Some things never change though, as Dwayne is at his best goofing off, going for a run, or having a thrilling ride in the car. He knows that his ancestors founded Moonlight Falls, and he won’t stand idly by while the Van Goulds takes credit. 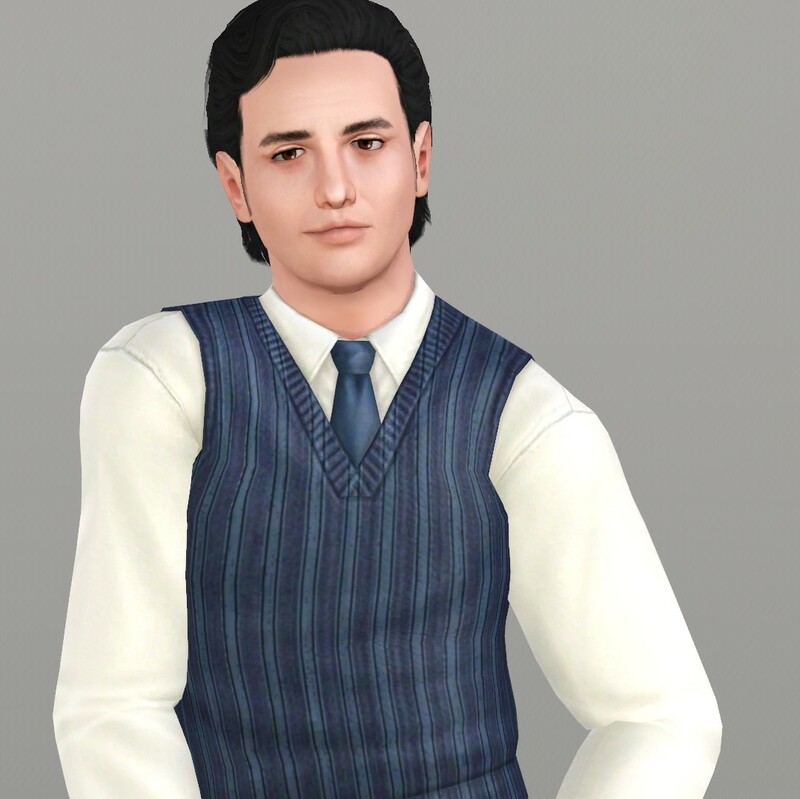 His new political career has helped solidify the Wolffs’ position as the first family of Moonlight Falls, and it’s helped him move his family out of their beat-up old shack into a beat-up old house! Look out world, the Wolffs are on the prowl!" 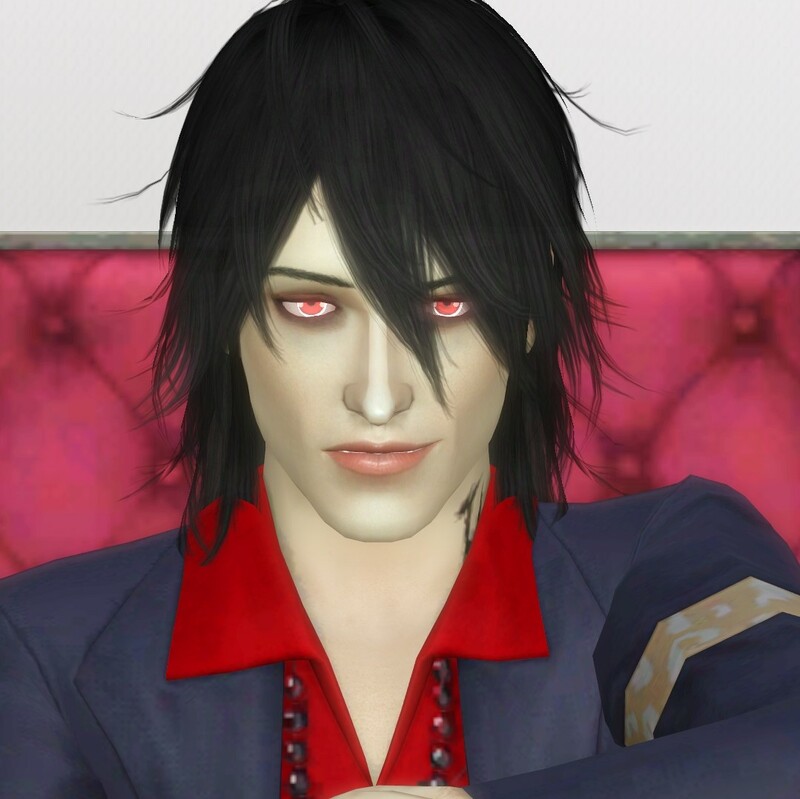 "Always up for a party, Dante is the first to arrive and the last one to leave. 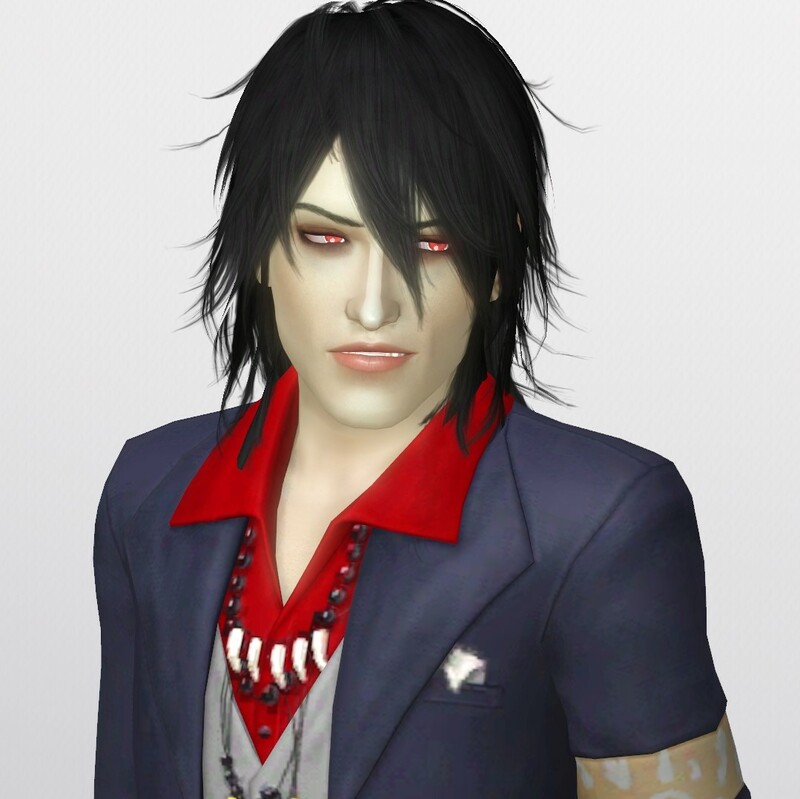 Being a Vampire, Dante loves the late nights and would keep going all day if he could. 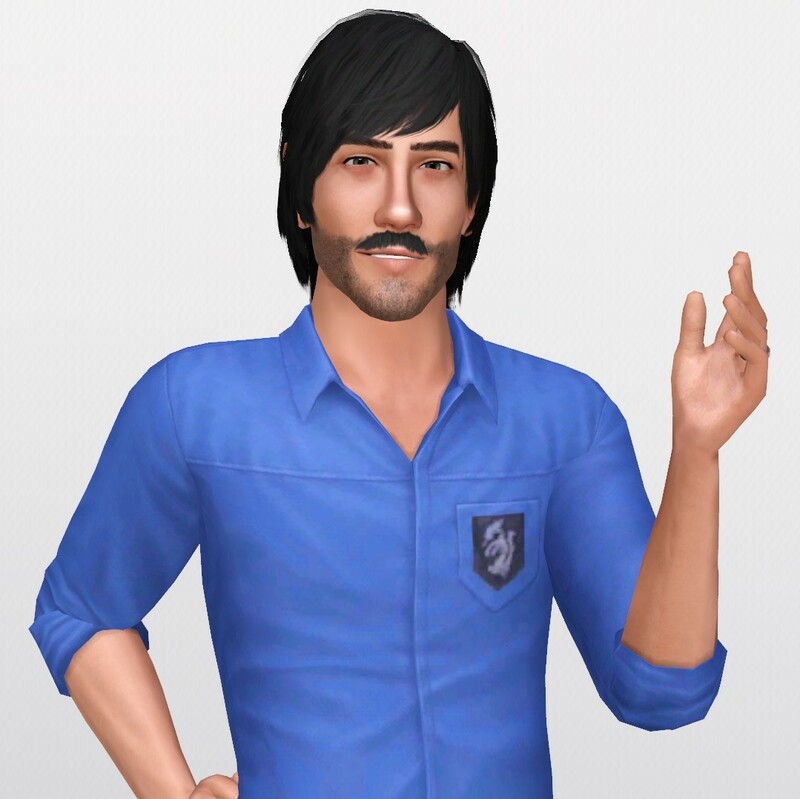 He jumped at the chance to move in with Violet and Argus, especially since he hasn't had much luck in getting a steady job due to graveyard shifts being very tough to come by in Moonlight Falls. But he doesn't mind – "job" is just another word for less time partying and hanging with his buddies." 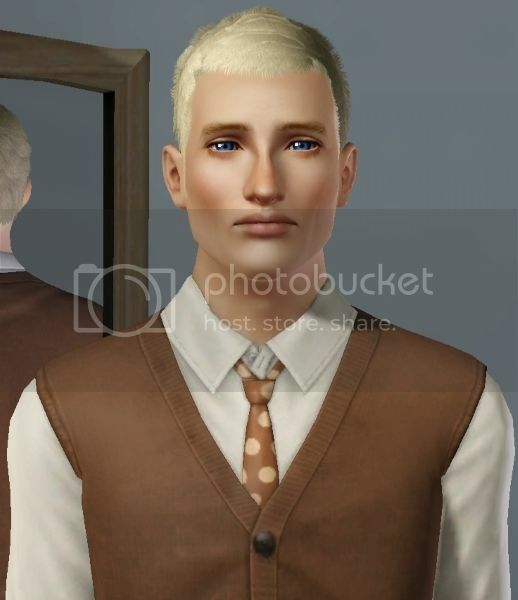 One of my favorite sims ever! "Don was facing a big choice between marriage and continuing to be a man about town. 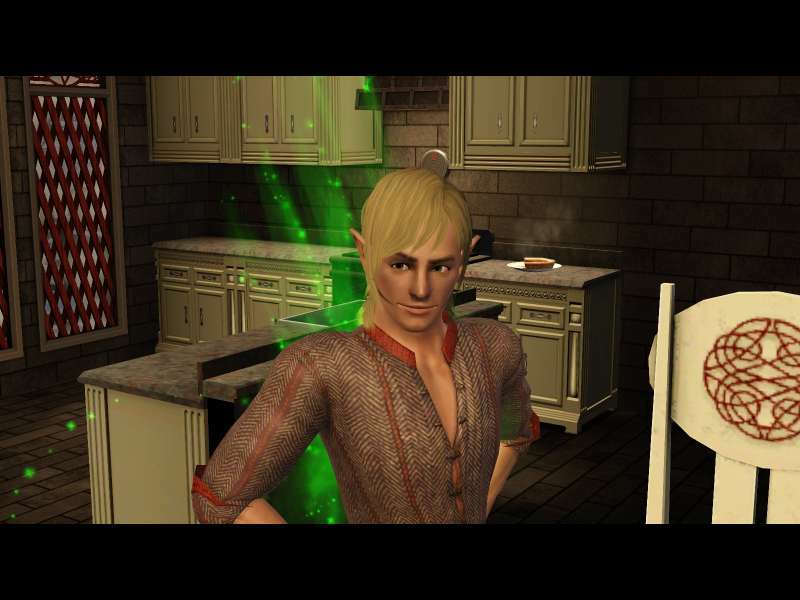 Will his "accidental" teleportation to a new town change his old ways?" 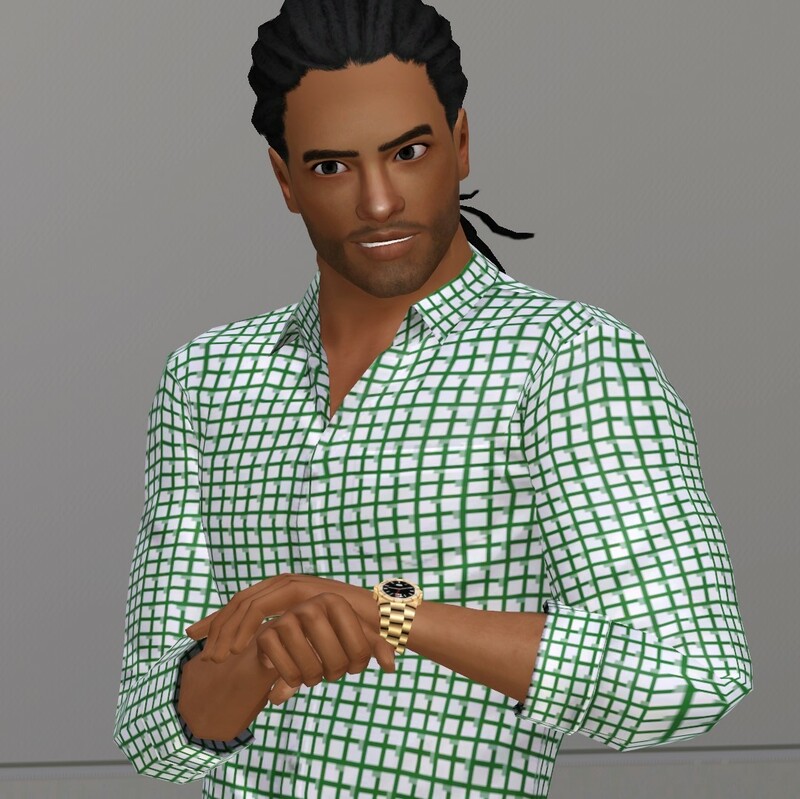 "Sherman Bagley doesn't like the risks his family has taken over the years. He'd like to pursue a more straight and narrow life path. He doesn't want to end up like his dearly departed dad." "Luke McDermott spends his days in the fields raising food for his family. He likes things to be done his way. Will he be able to let go when his children want to find their own way?" 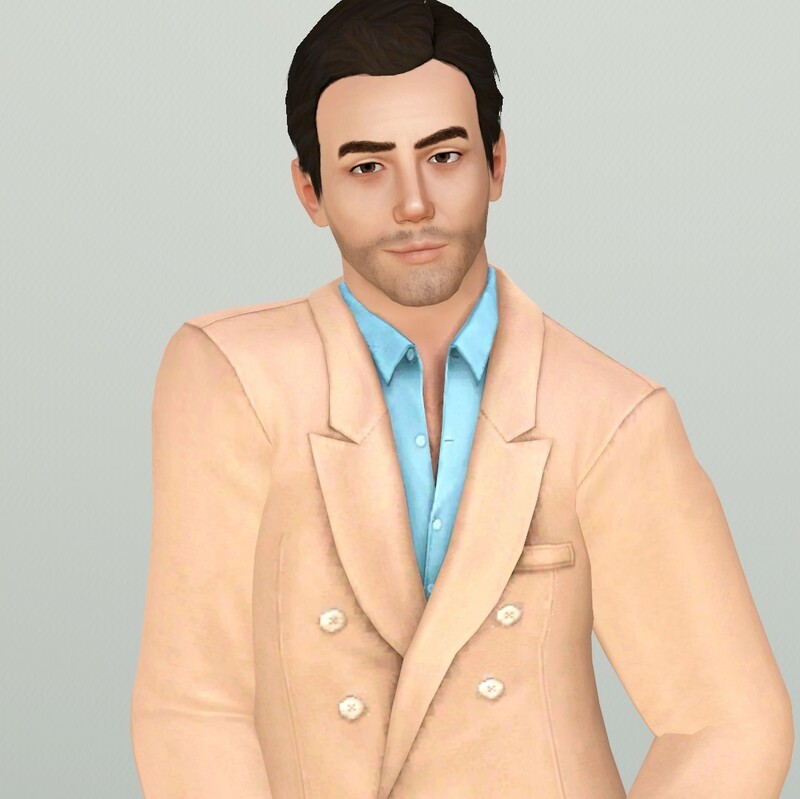 Ahh one of my sims married him back in the day! "Jon Lessen is devoted to his music. He dosen't have time for all the girls who wait at the stage door. He just wants to be the guitar player Destry wanted him to be." "George visits his father, Bennie, as often as he can because he knows the old man misses mom. Will George become the brave man he believes he can be?" "Aiden Jones thought moving to Riverview might be restful. Will Aiden be able to relax in a house full of restless ghosts?" "Billy Caspian may never be the artist his mentor Hank was. He was always frustrated at how easy things came for him. It's not fair that things should came easy to one person, when others have to work so hard at it." "Yuri Ivanov likes the old ways. He always lived by his wits, charm, and a smattering of skills. Riverview seems a nice, simple, place to settle down for awhile." "Odin is eager to have money for something bigger than his tiny house. He always gets angry at the kids in the street, especially when they cross his lawn running." 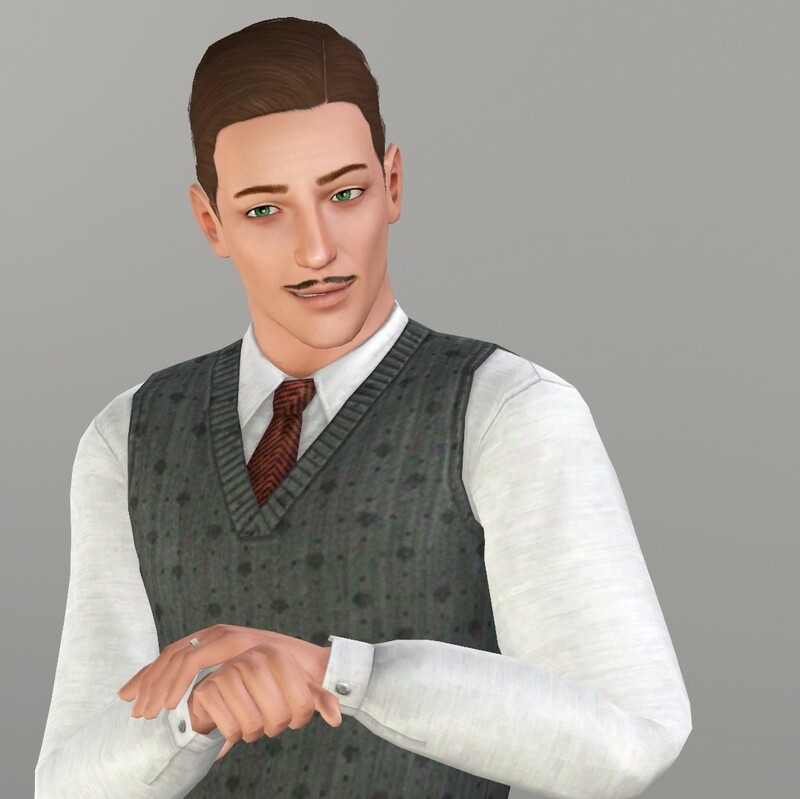 *unfortunately, there are no unique bios for the denizens of Roaring Heights. 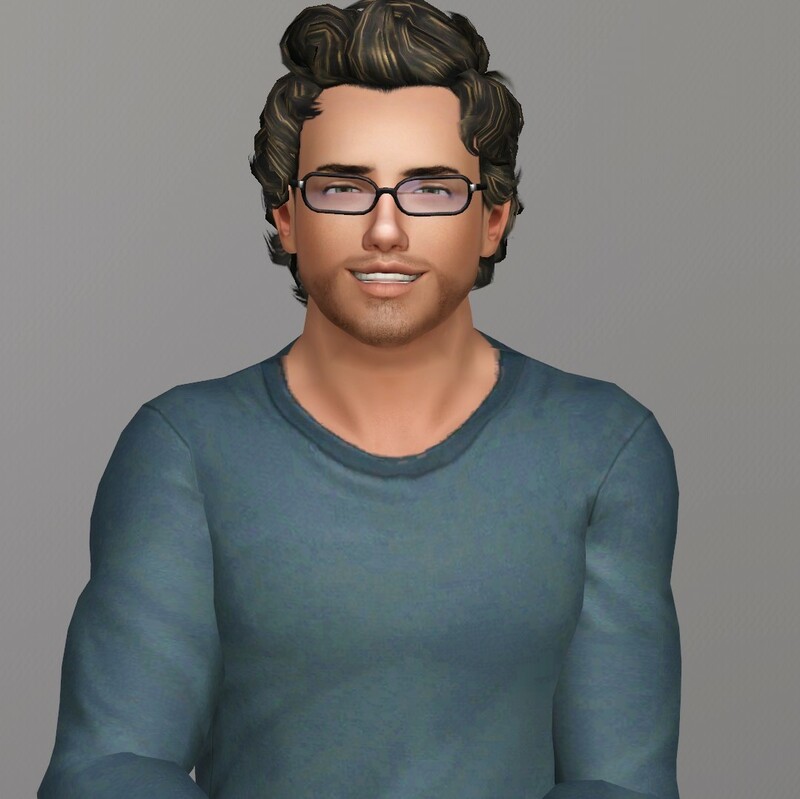 Married a sim of mine once! A lot cuter than Fred! My personal favorite from Roaring Heights! 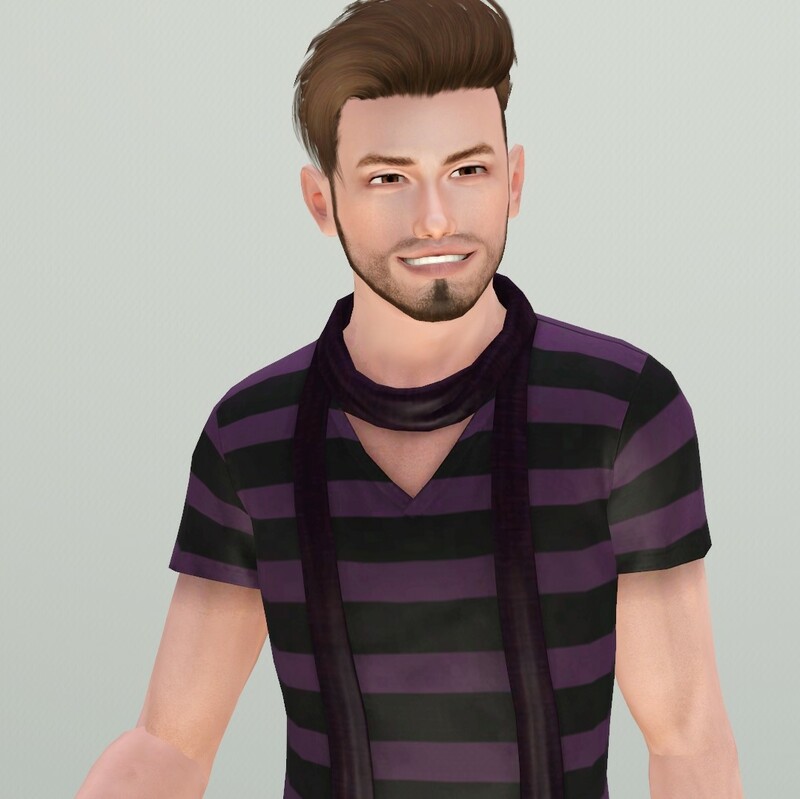 Billy Caspian is my favorite male sim in Riverview. 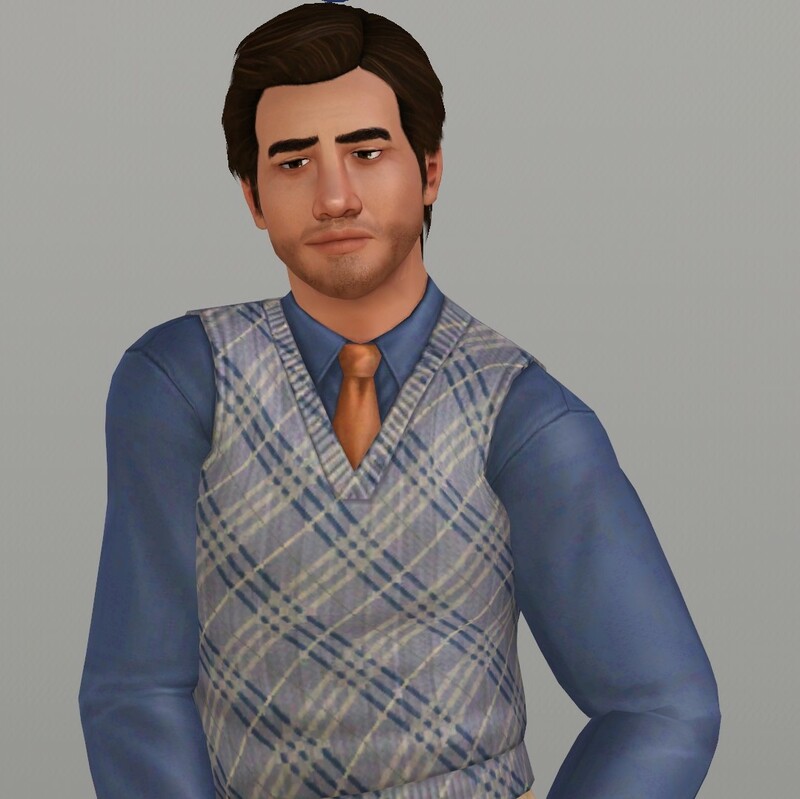 I paired him with Pearl Yang from ST and they had really good-looking offspring, including the sim in my profile pic (their firstborn). 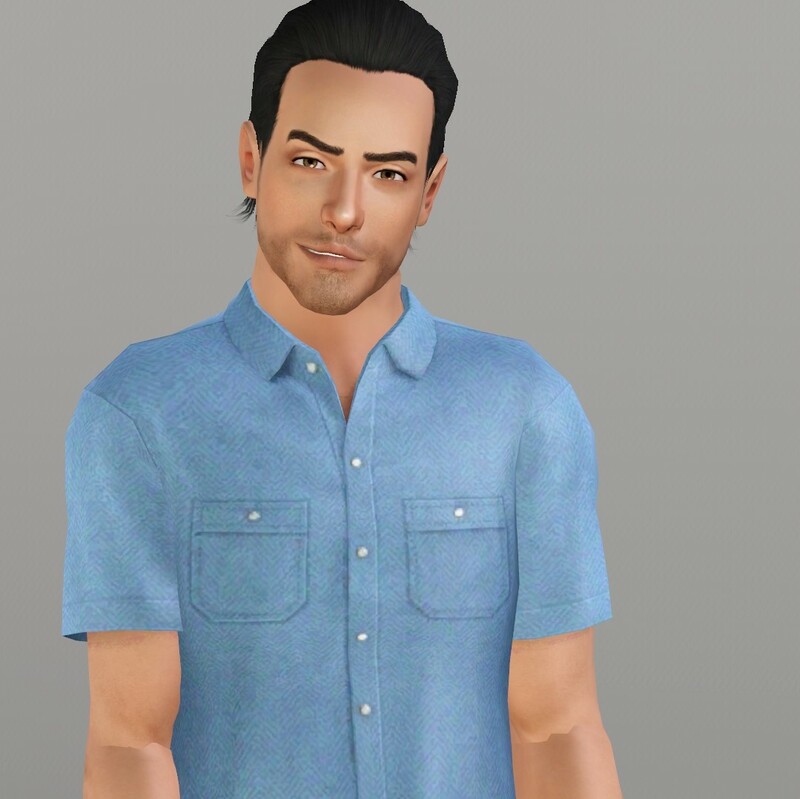 Also paired him with a sim I made and their kids were stunning! @ChocoCub These aren't my original creations, though I do appreciate the kind words! 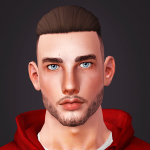 These are EA premade sims I find in each town that I have merely edited a tiny bit to show their full potential. 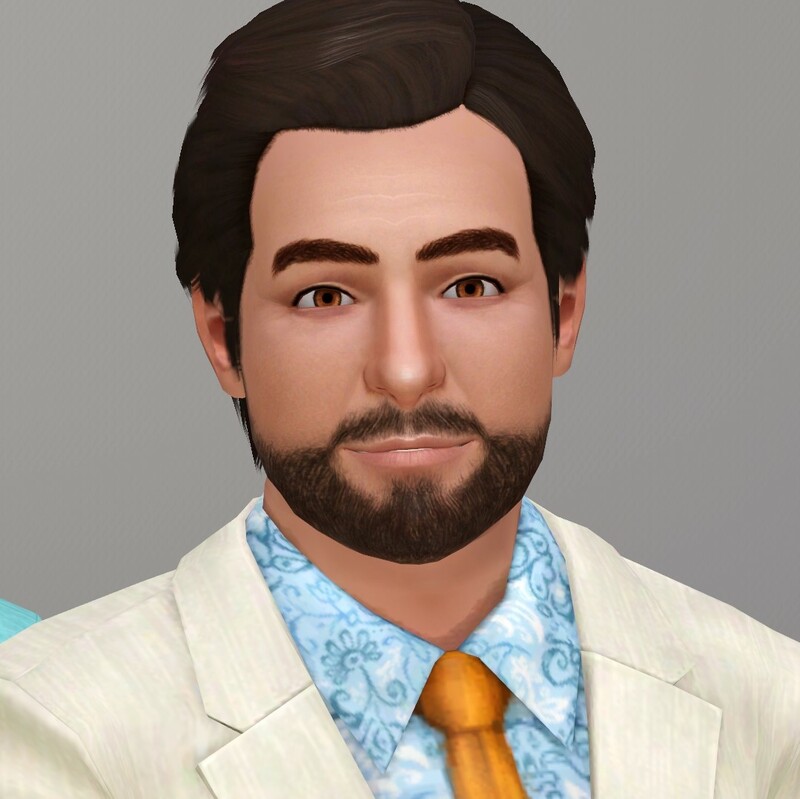 I can and probably will share my original sims when I am finished with each town, though! 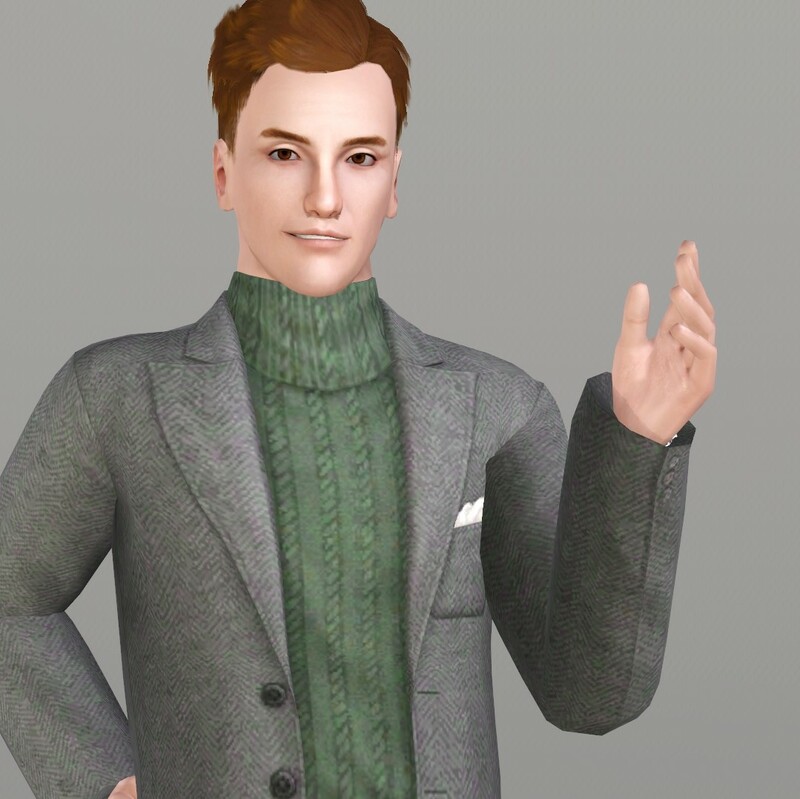 @ChocoCub gave me the idea to actually share some of my hottie sims as well! 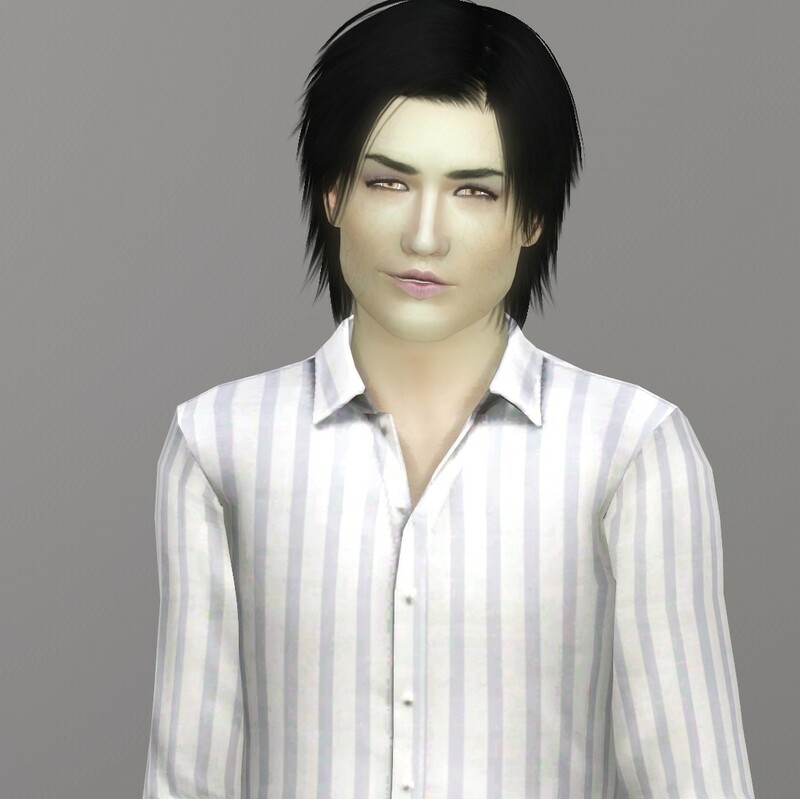 So, I am working on reestablishing a vampire family that I made when I first got Supernatural. 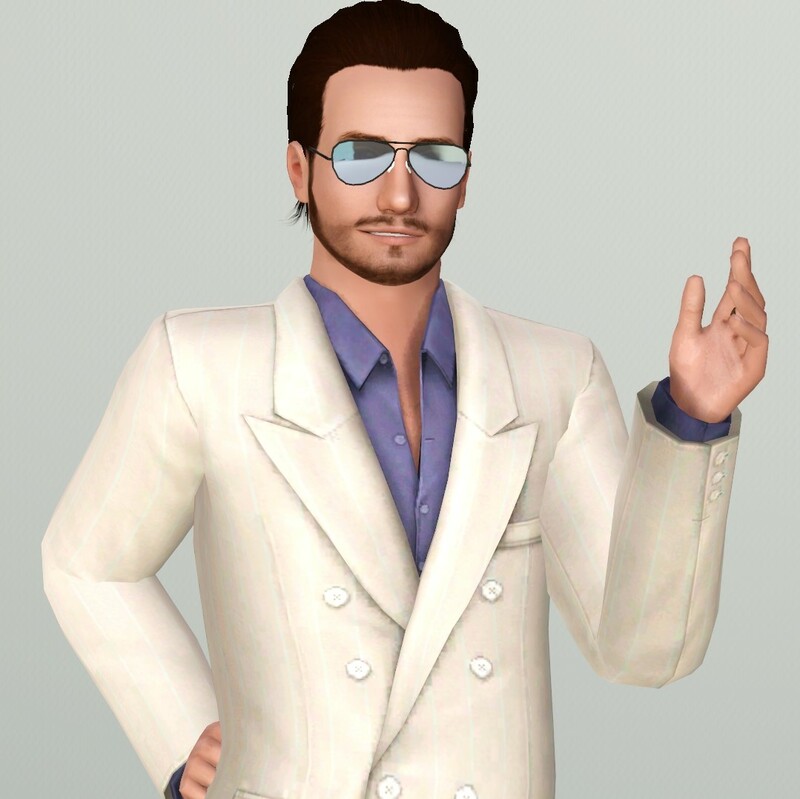 I can't remember the name of Horus's underling, so I will have to just rename him when I make him. 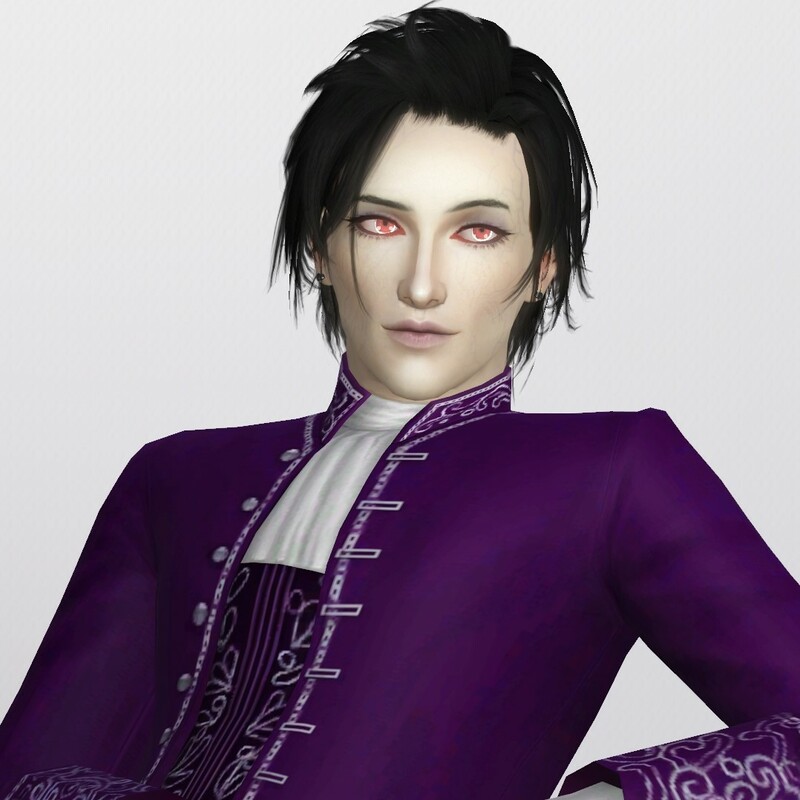 I, in general, remember what he looks like...his name just isn't coming to me. But he was a great character. A vampire who was scared of everything - including other vampires. 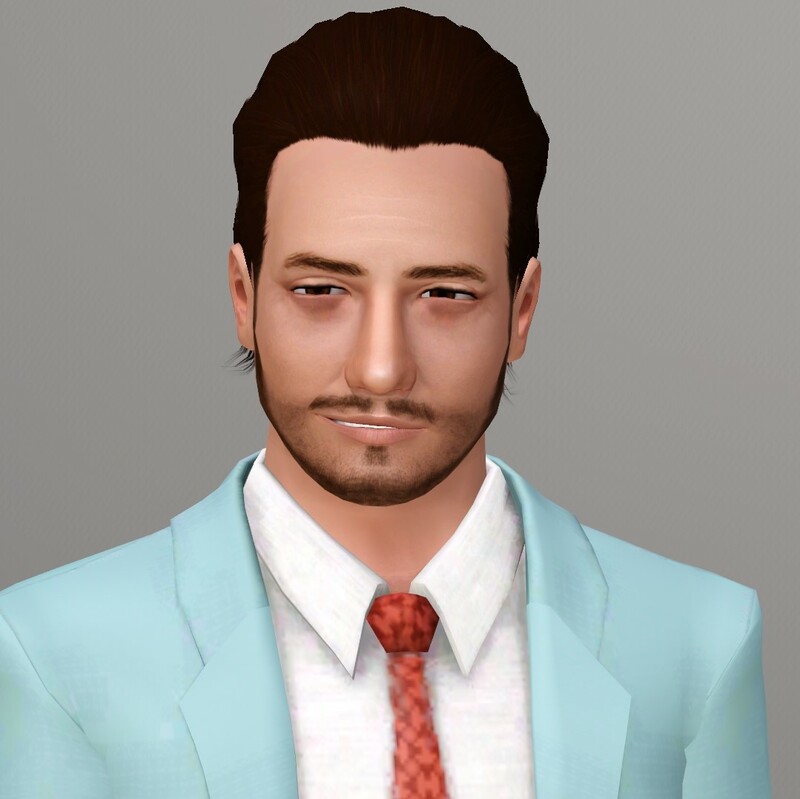 Anyway, I decided to take this a second before showing you guys the Starlight Shores fellas to show you a few of my Bloodworth sims I have completed thus far. 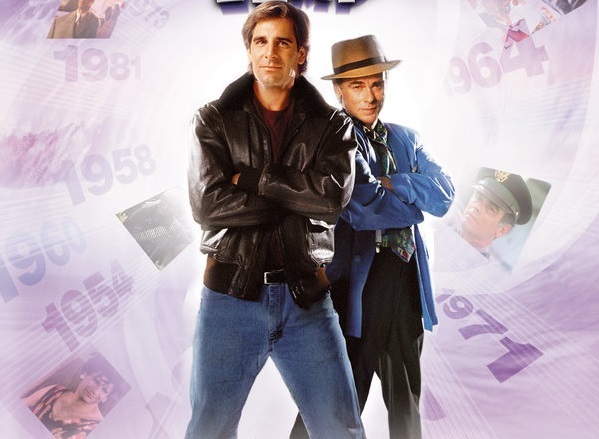 Horus is a remake. 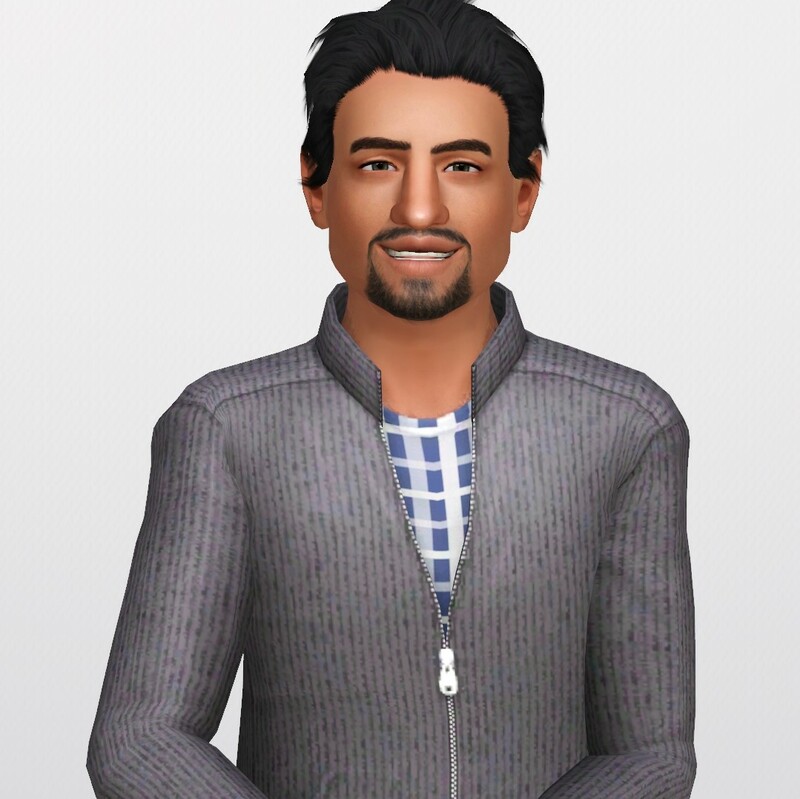 I made Horus Bloodworth back when I got Supernatural, but this one isn't super close to him outside of probably the eye color and hair color. I haven't decided on an outfit for him yet, so excuse whatever the heck he has on. 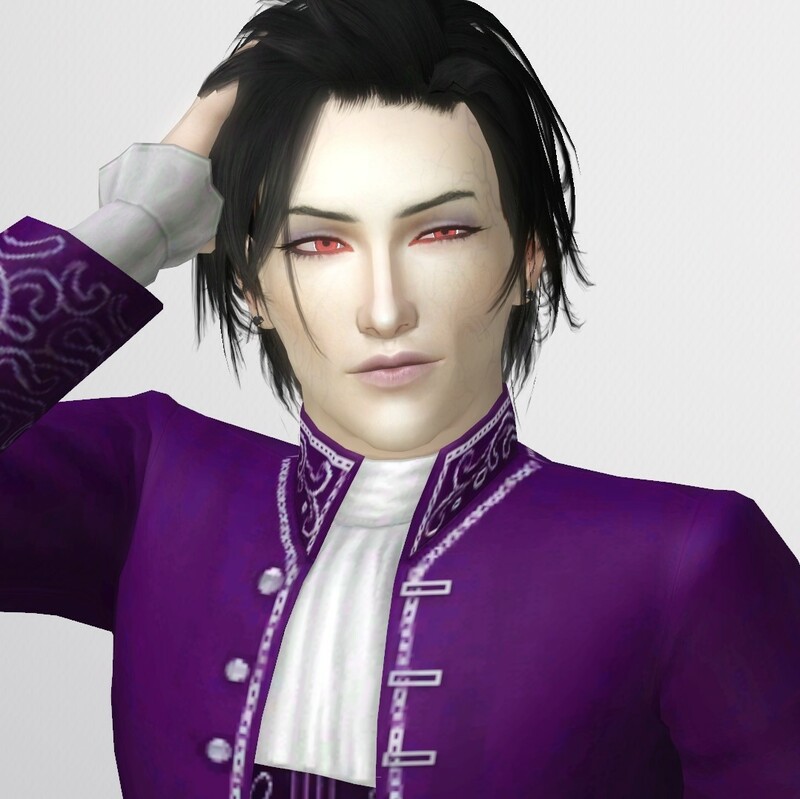 Sure, he looks like he would gladly kill you any second...but I mean at least he's handsome? "Finnegan left his upper class home in search of fame when he realized his parents would never support his dreams of stardom. 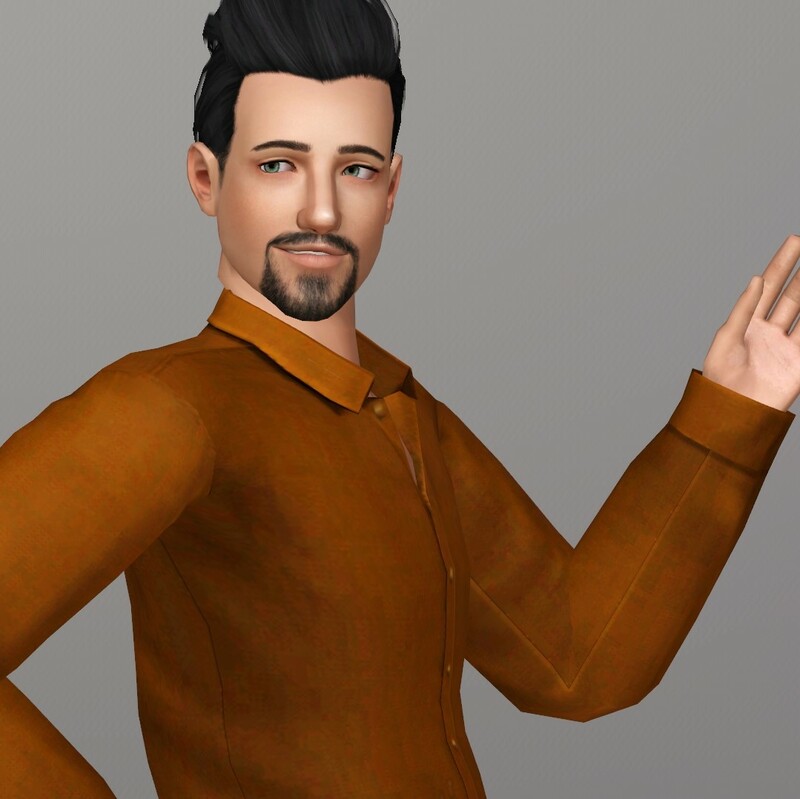 After jumping on a bus in search of a new life, he landed a temporary job that suited his lifestyle- professional pool boy to the Buckshots. Madeline, realizing his raw talent, quickly moved him into the main house. 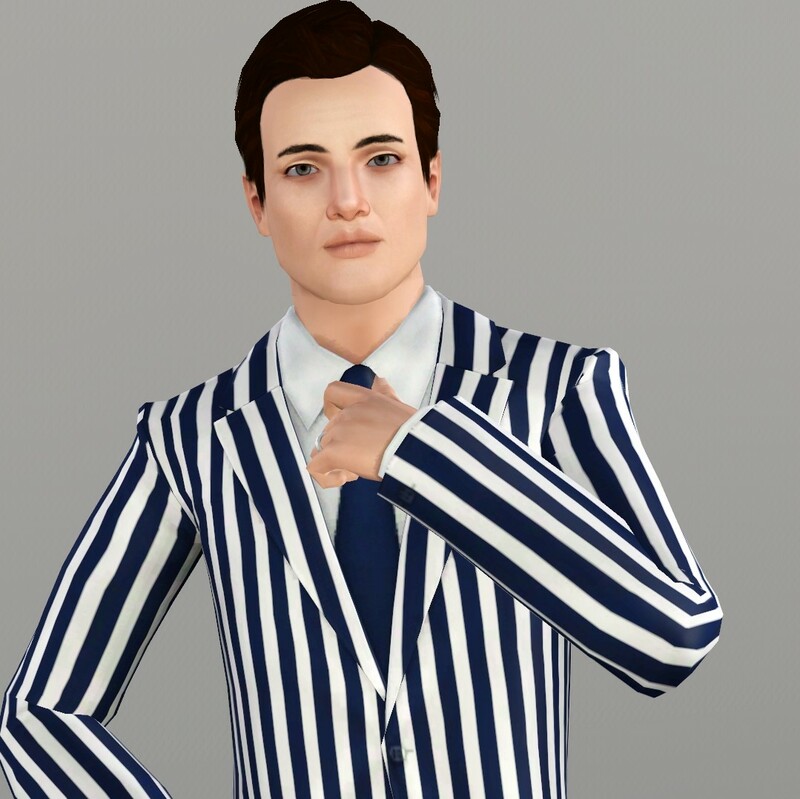 The relationship with Madeline may not be true love, but Finnegan loves the life he's living in a nice house, with lots of Simoleons, and a singing career that just might take him somewhere." "As a kid, Wylie was always getting bumps and bruises from jumping off of rocks or dropping juggling pins on his toes. His last name accurately describes why he's yet to be seriously injured! Wylie came back to Starlight Shores after training overseas with elite Acrobats and is ready to burst into the scene with his dangerously stunning shows." 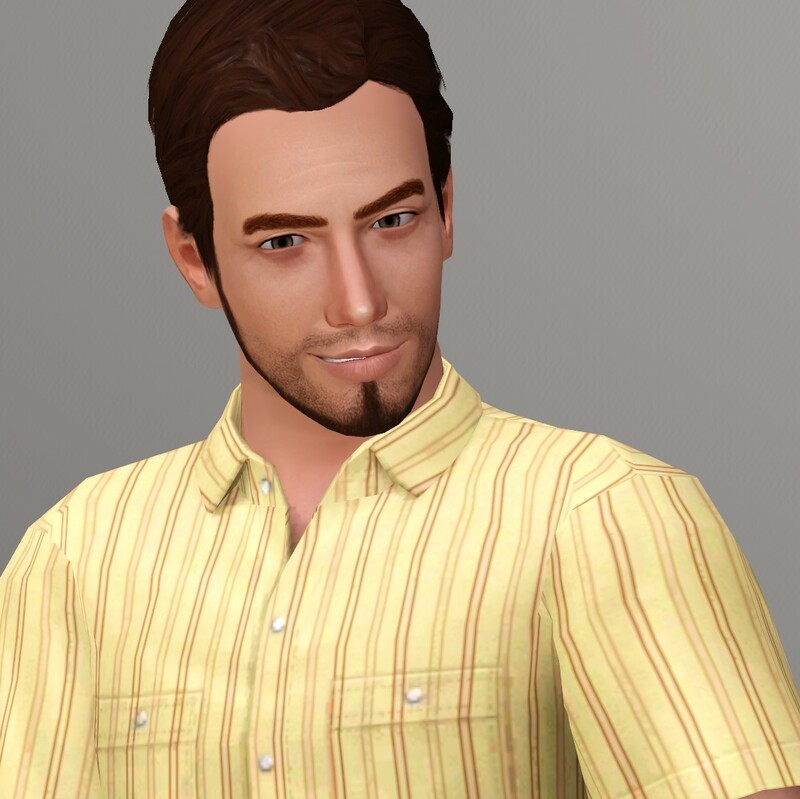 "Chad's a casual guy with a casual life. He's been fired from many jobs- not that he's cared- but he still manages to get by with ease due on his good looks. 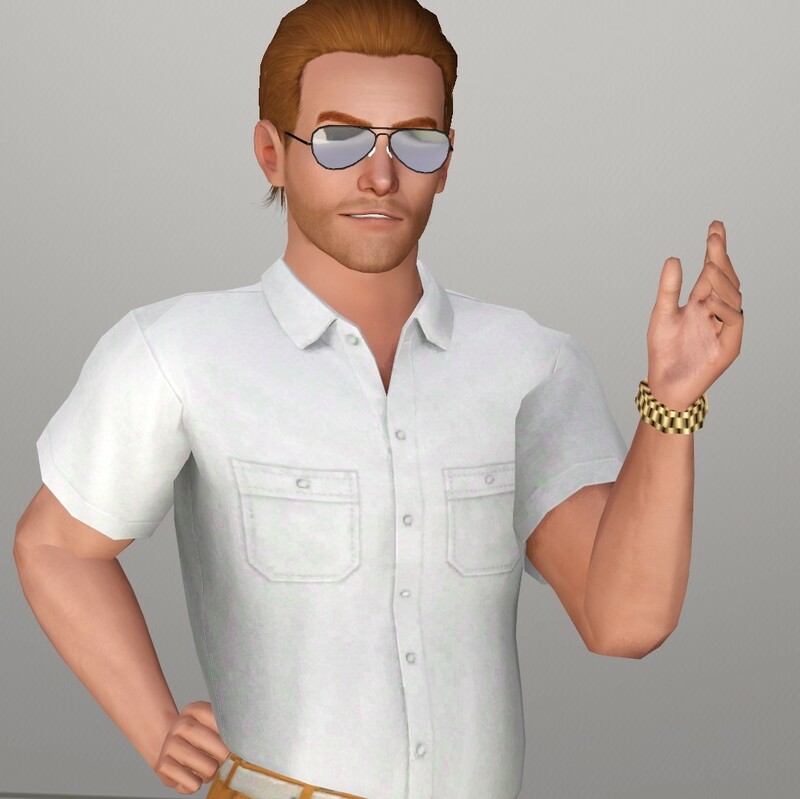 Chad is excited about his new inheritance as he expects that it will allow him to continue his carefree life of clubs, coffeehouses, and beaches. He's never left Starlight Shores nor does he plan to." "Wayne is a quirky, but successful guy who’s watched his hometown grow and become the entertainment capitol that it is. 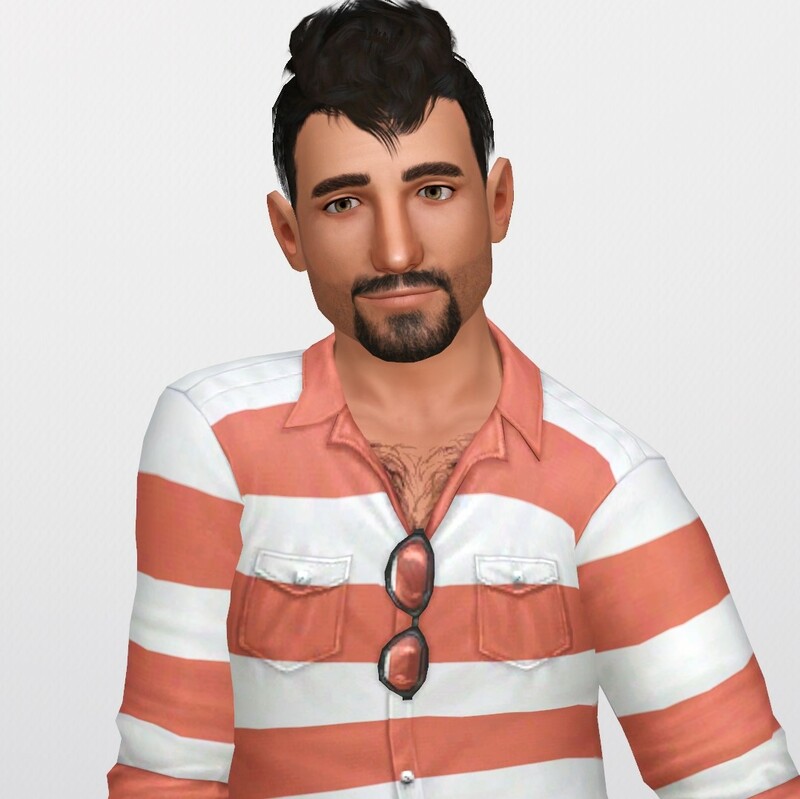 An outdoorsy type, he’s especially attracted to living near the mountains but also having the beach at his disposal. 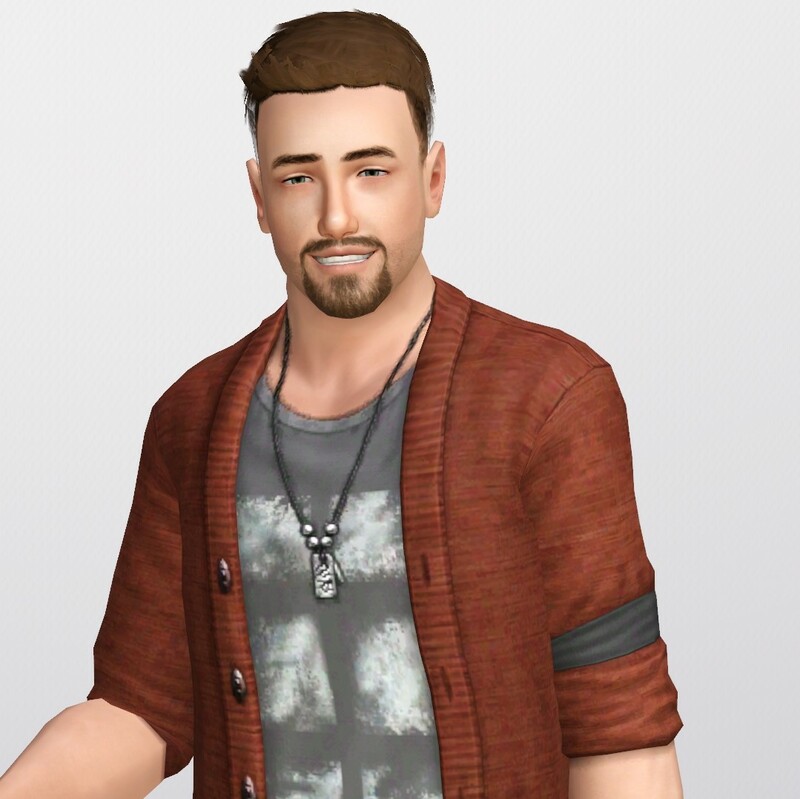 Wayne is a typical gearhead who likes to work on his car and experiment with various upgrades to his appliances around the house. He enjoys playing jokes on people and can be difficult to take seriously. 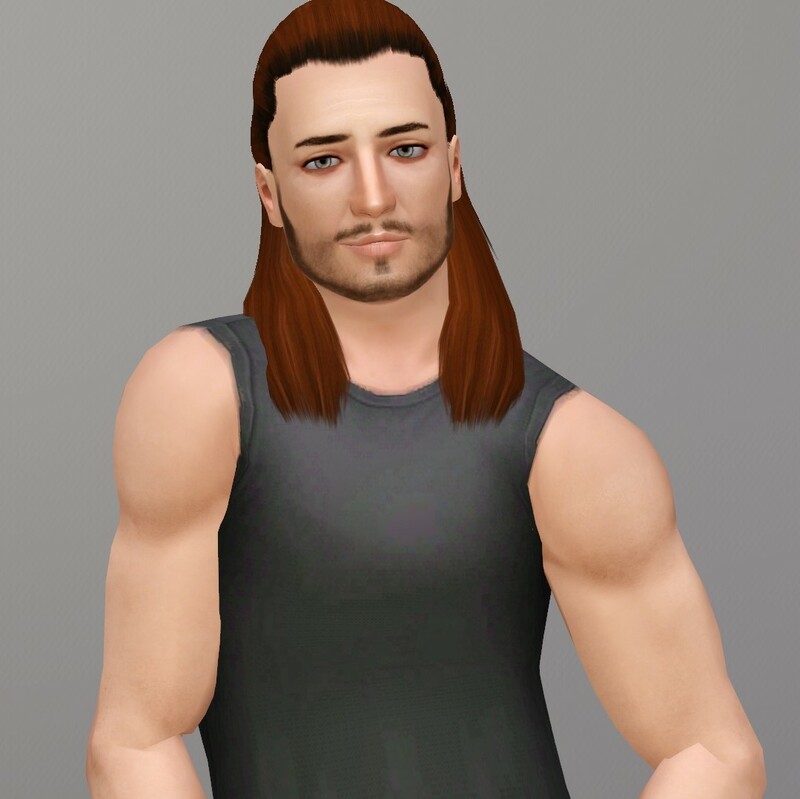 After his first child was born, Wayne is ready to settle down and start a family, though he may still play the occasional joke or two." "Steve has performed all over the world in the most extravagant venues as accomplished Illusionist known for an old school approach. He also likes to combine work with pleasure, using his travel as an excuse to get in a little adventuring along the way. Most recently Steve was in Al Simhara in search of rare artifacts in the Great Pyramid where he was attacked by a mummy. With a little bit of luck and a few impressive illusions, Steve made his great escape and cashed in on a very rare Plum Stone. Using his new found fortune, he decided to invest in a venue in hopes of attracting new world class talent to his hometown." 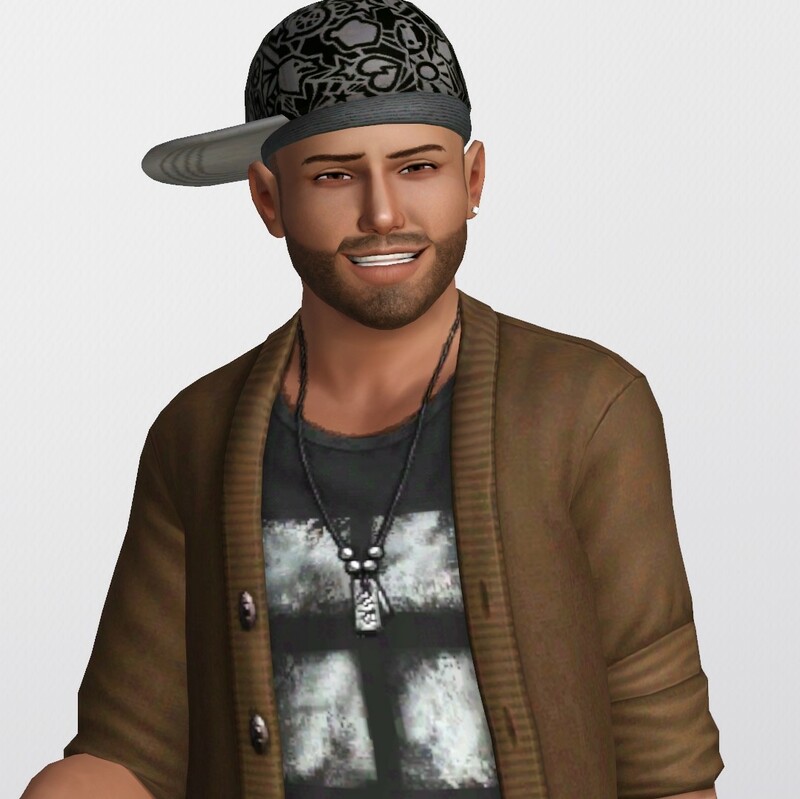 "Matias is a determined Singer who wants to make it big. Unfortunately, things haven’t gone quite his way, and one unfortunate incident after another has impeded his success. His big break nearly came when he was scheduled for his first venue appearance, only to see the venue burn down the morning of his performance. He’s still waiting for another opportunity to come along, but Matias is a hard worker and will persevere to make it big." "Javed is an accomplished Acrobat on his way to the top. Since his breakout performance a few years back, word of his skill has spread throughout the city. 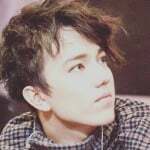 These days, he is frequently recognized by fans and always gets rave reviews for his performances. An avid reader, Javed enjoys spending his free time in the park or woods with a good book so he can combine two of his favorite past-times. 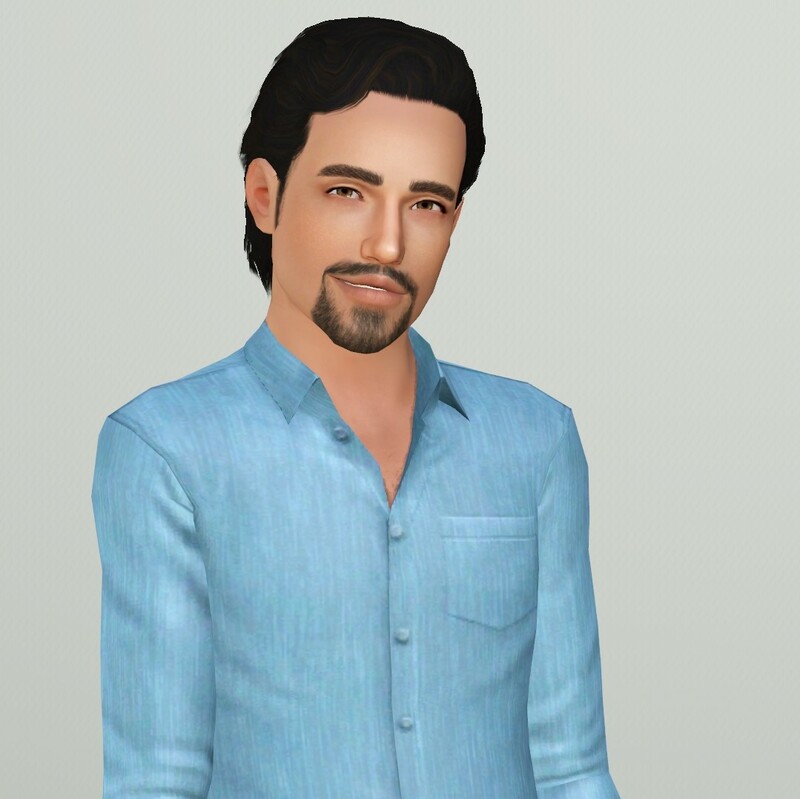 He desires to settle down and have a family, but unfortunately true love has been elusive despite his success." "Evan is a very friendly person who cares deeply for his family. His greatest goal is to “fight the good fight” so his kids can live in a crime-free city. 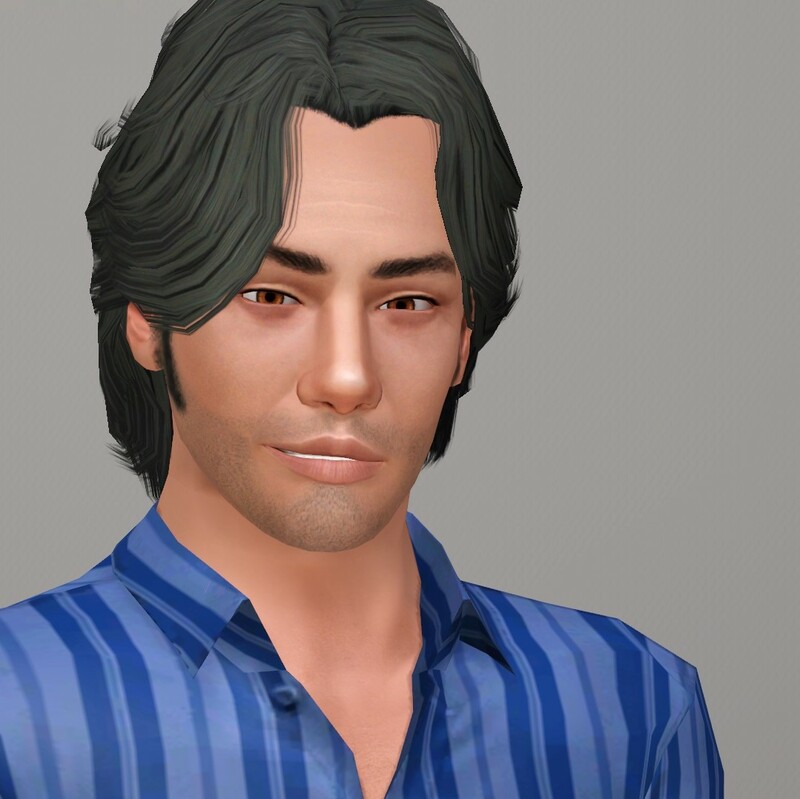 He runs a stern household and strives to teach his children the hard working values he learned from his father, Paul. He was delighted to be invited to live with his father and moved his family back into town right away. 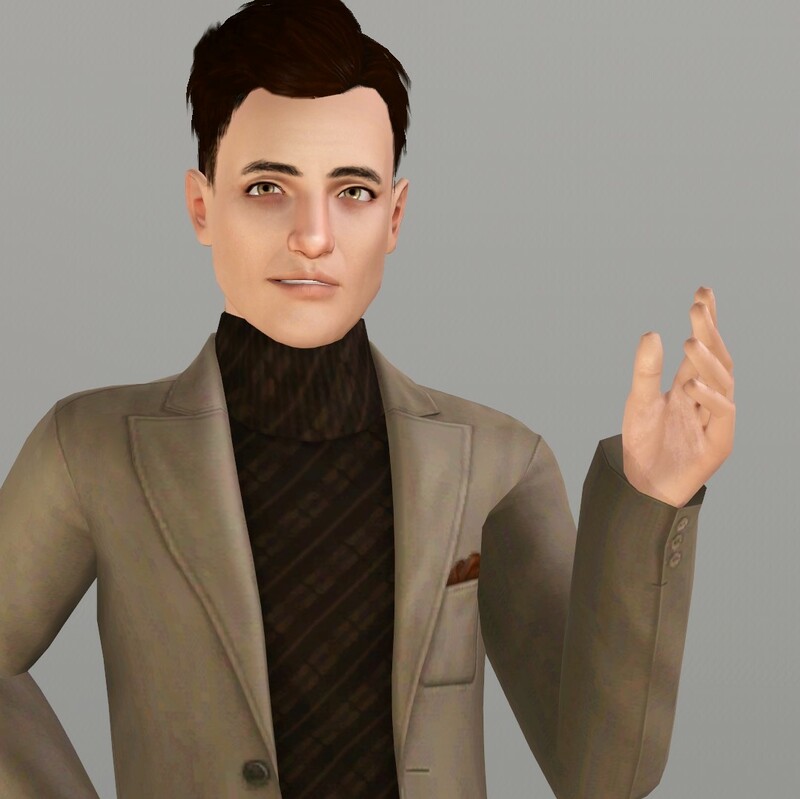 Unfortunately, the snobby, spoiled Gooder family still lives next door, but regardless Evan still looks forward his family being closer with his father." My favorite of this bunch! 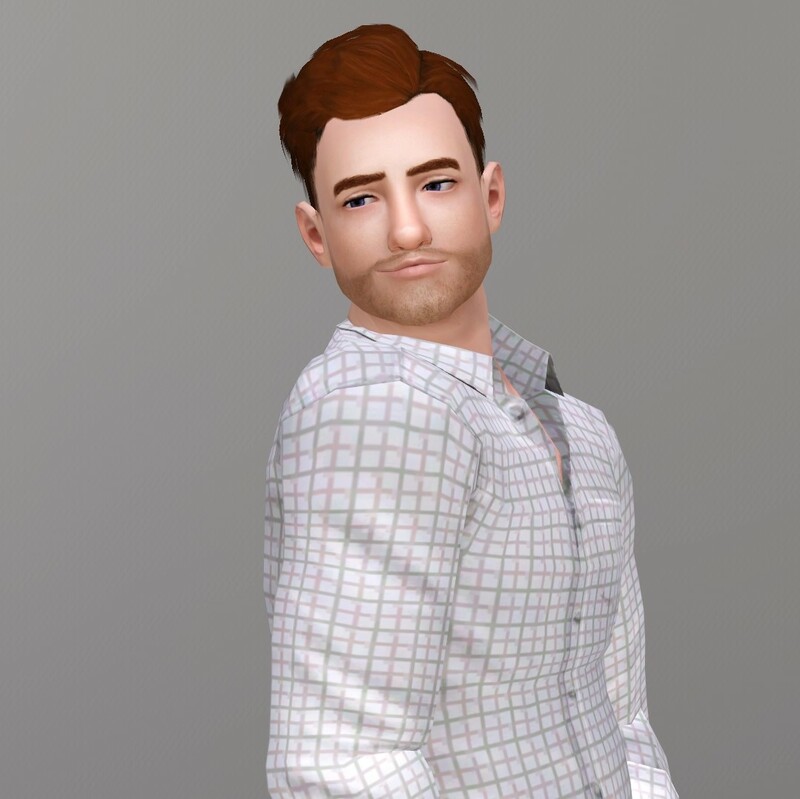 "After dating Holly online for a few weeks, Seth quit his job and moved to Starlight Shores to start a new life with Holly. However, Seth was never one to think before he acts, and upon arrival he had some doubt about his newfound relationship. 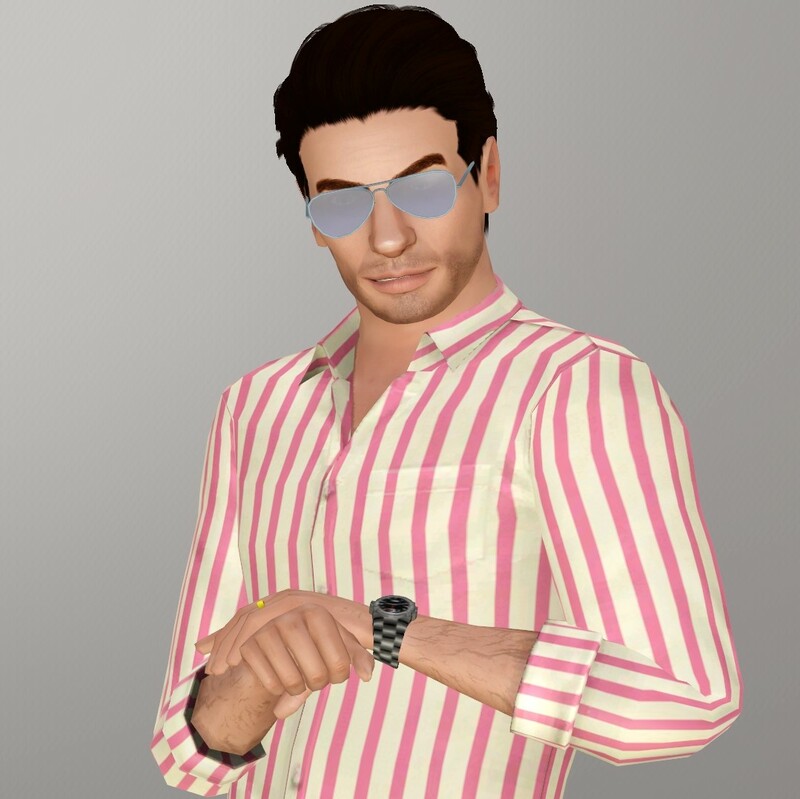 Seth has been trying to make money as a DJ, and he’s ecstatic to have the chance to lay down some beats for the local celebrities. Only time will tell if Seth and Holly are truly meant to be together, or if Seth acted with too much haste." A bright ray of sunshine! "Ernesto has been best friends with Mithun since childhood. When Mithun made it big, Ernesto was right there with him to share in the fame and the fortune. 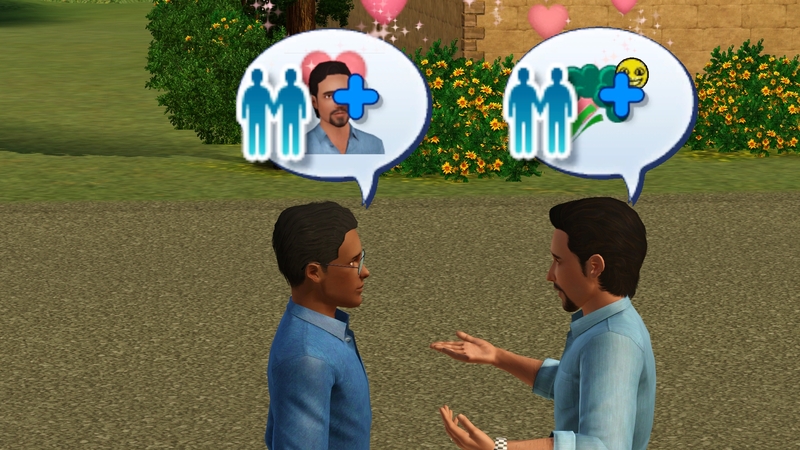 When Mithun was traded to a team in the city, Ernesto came along, expecting they'd continue the endless supply of parties and fun - but when Mithun invited Ariella to move in, Ernesto started to worry that things might be about to change. 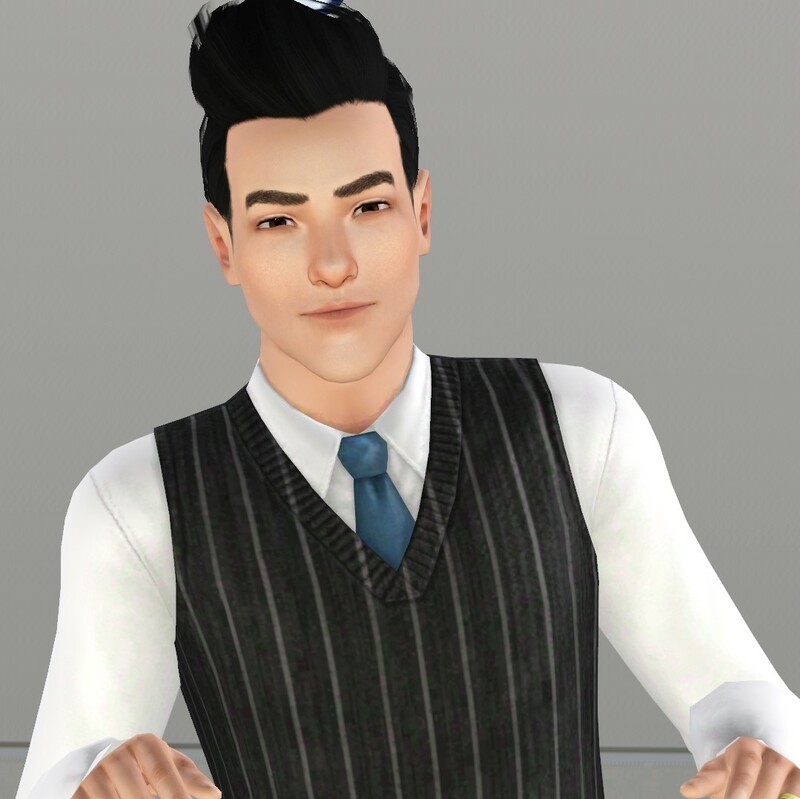 He took the only job he could find: a receptionist, due to an ultimatum by Ariella that he either pitch-in for household expenses or live on the street." @ChocoCub yesss I love Javed! He is just perfect! 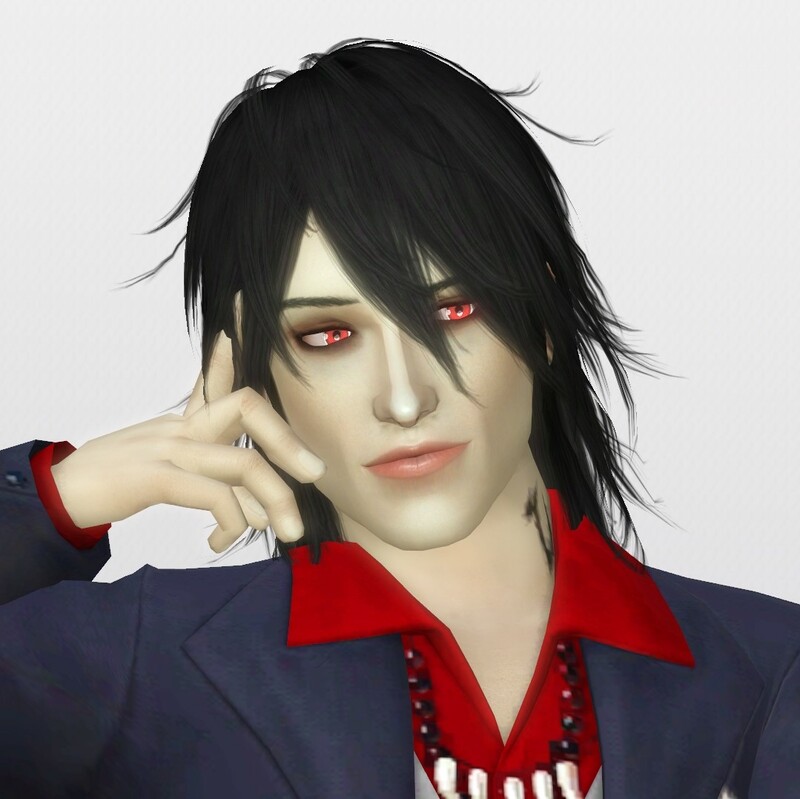 I actually managed to find the old thread I made about my vampires when I first got Supernatural so I found an old picture of Horus and his underling - Vincent Valente. One of my favorites from Riverview is Maximus McDermott. 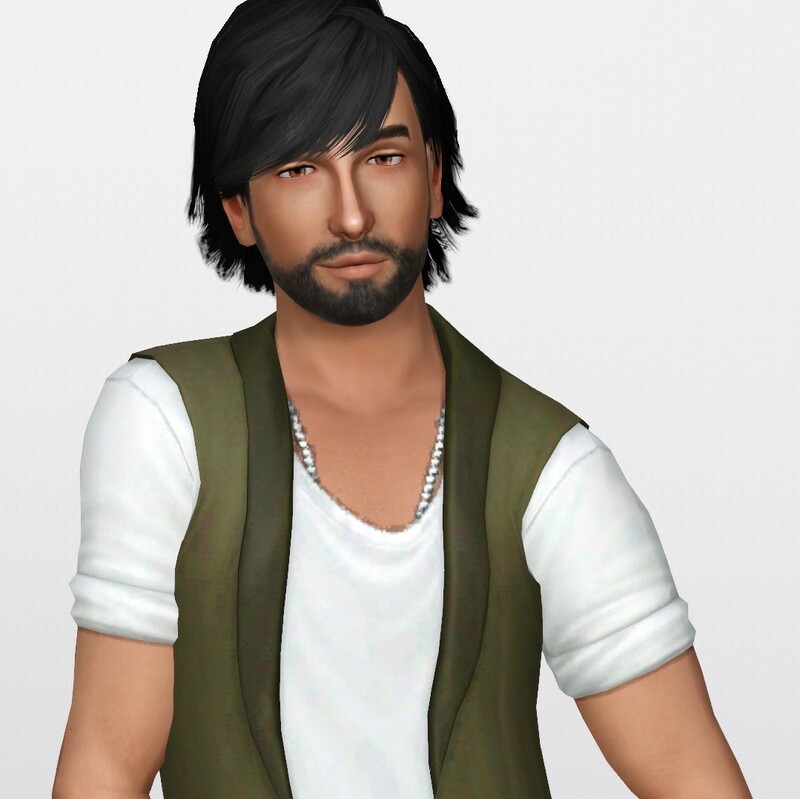 He starts out as a teen but here is a slightly tweaked young adult version. 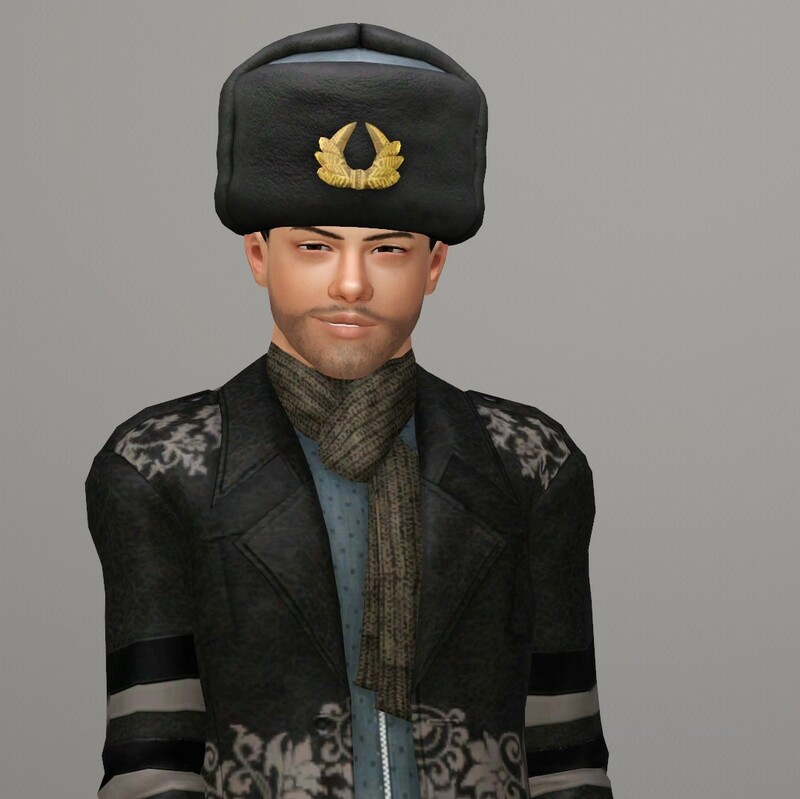 ETA: I have to agree with many of the others - your Vlad is really hot. 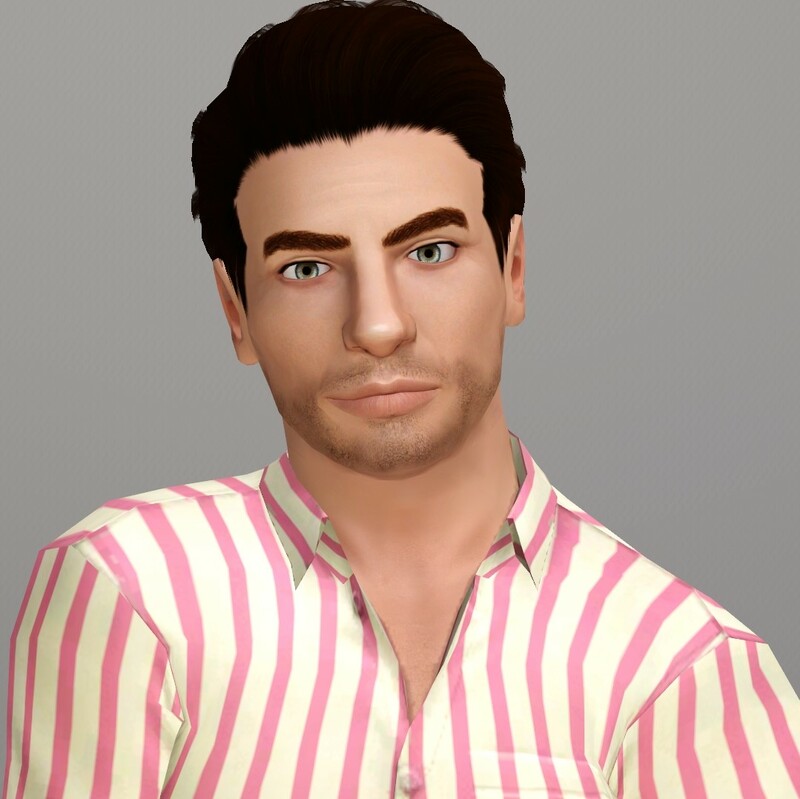 Best makeover of him I've seen. @cwaddell I LOVE Maximus! Good taste you have. He looks great. 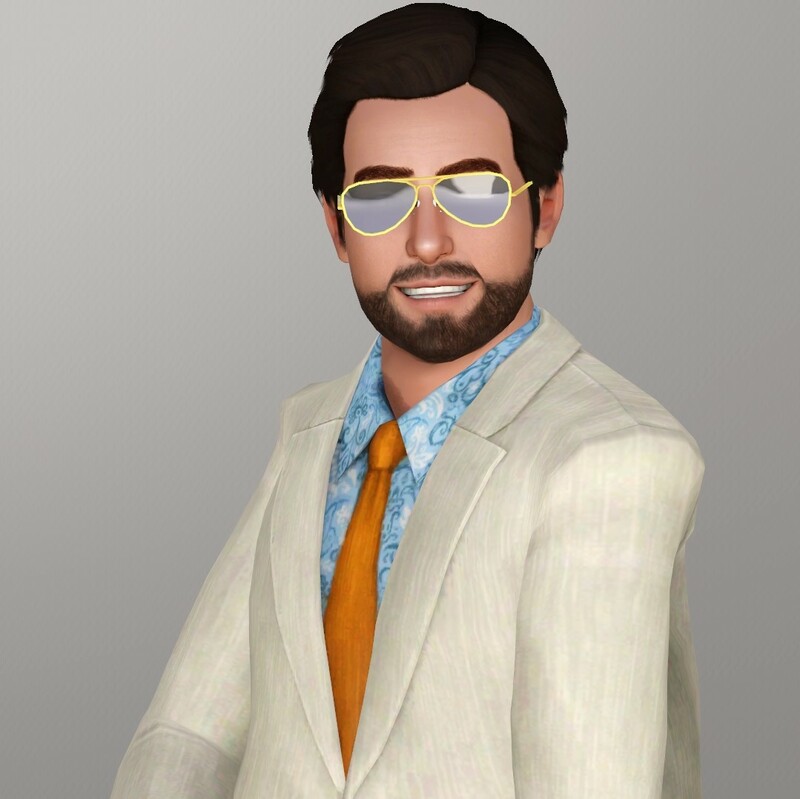 Appaloosa Plains Townie Makeover Project! 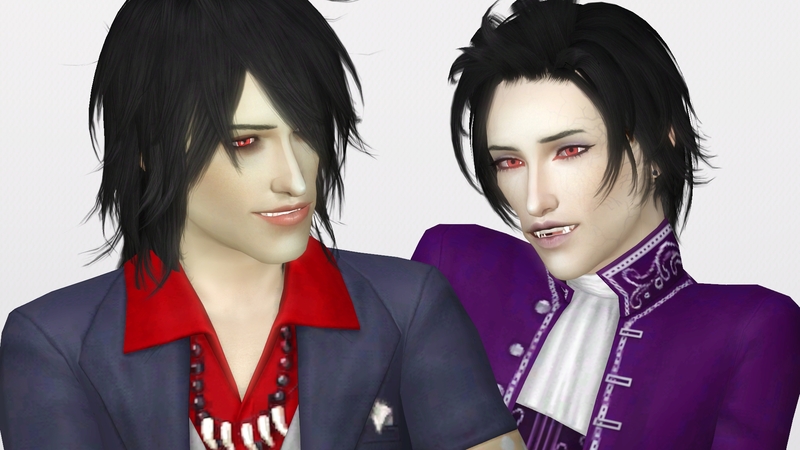 @Emily4331 Your vampire dudes are amazing! I bet they have beautiful offspring. @cwaddell I knew Maximus had potential! What a cutie! @Emily4331 I love your vamps! 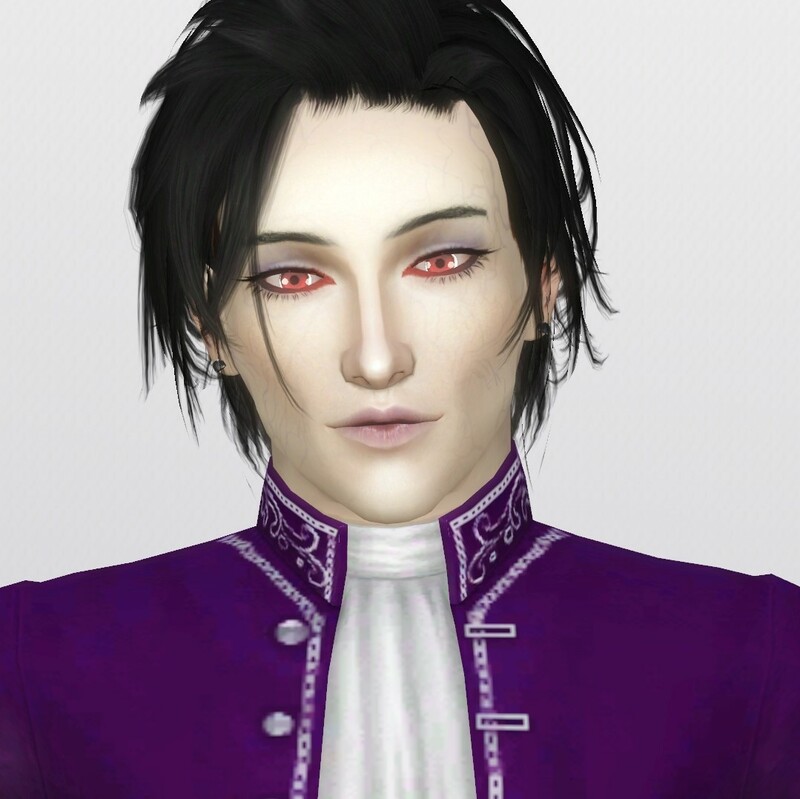 I still haven't played a vampire in my game yet. 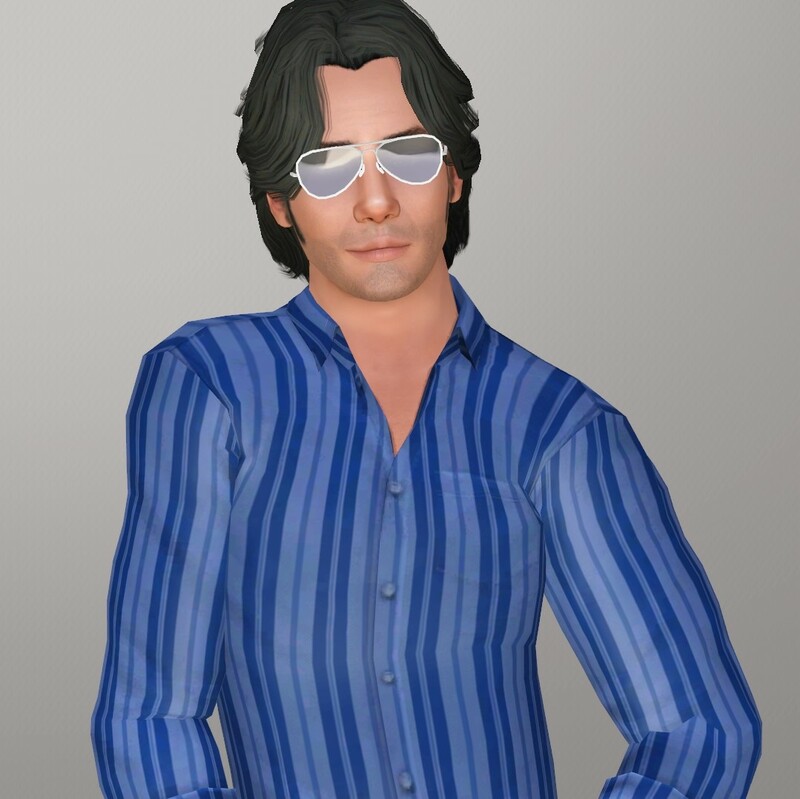 I knew there were some good looking sims in Monte Vista hiding behind those sunglasses! Honestly, with most everyone wearing suits, I get a bit of a "mob" vibe in MV. Is it just me? 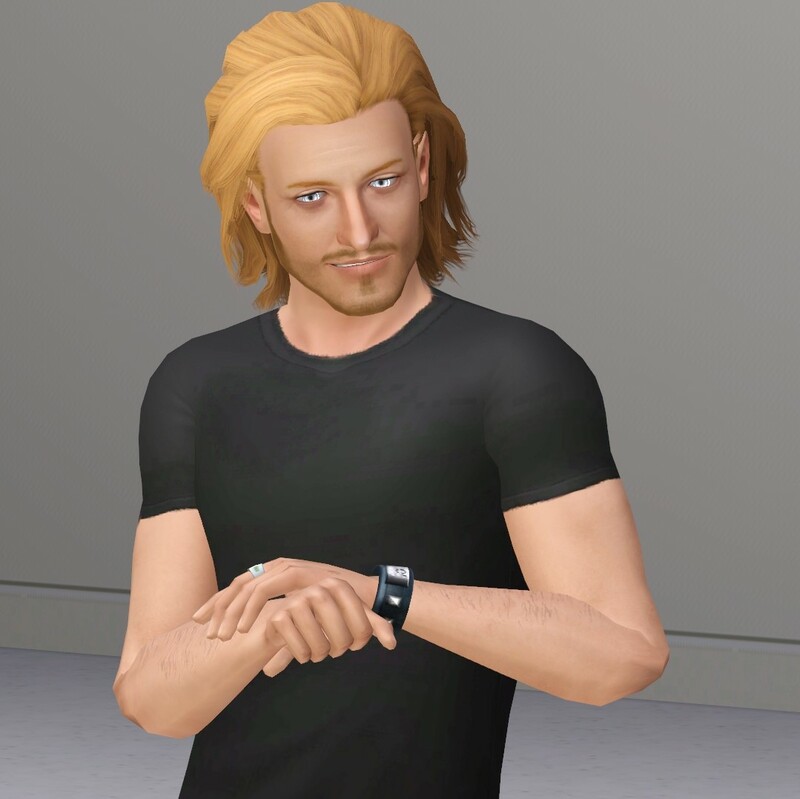 I have another sim I made over in DV. This is Mason Sackholm (sp?) I don't have a "before" pic of my own. Made over: I did not make him a fairy, though. He just turned into one after I installed Supernatural. 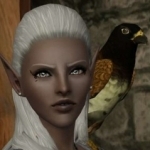 I really like the "elven" folk in DV. 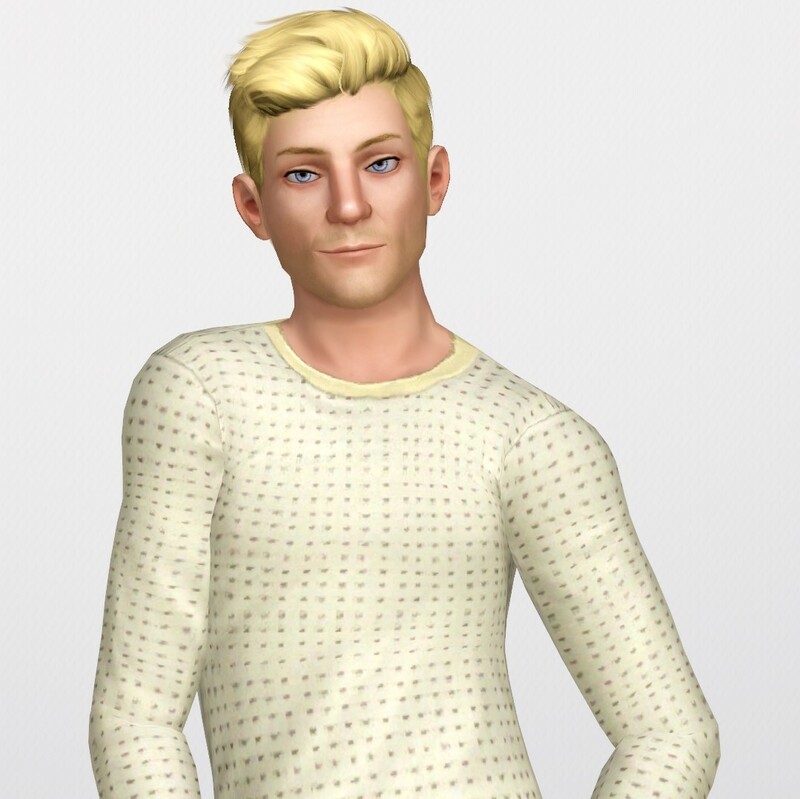 Here's the only self made male elf in my game. He's one of my faves. @cwaddell Ooh I was wondering if any of the teens I was passing up aged up well! 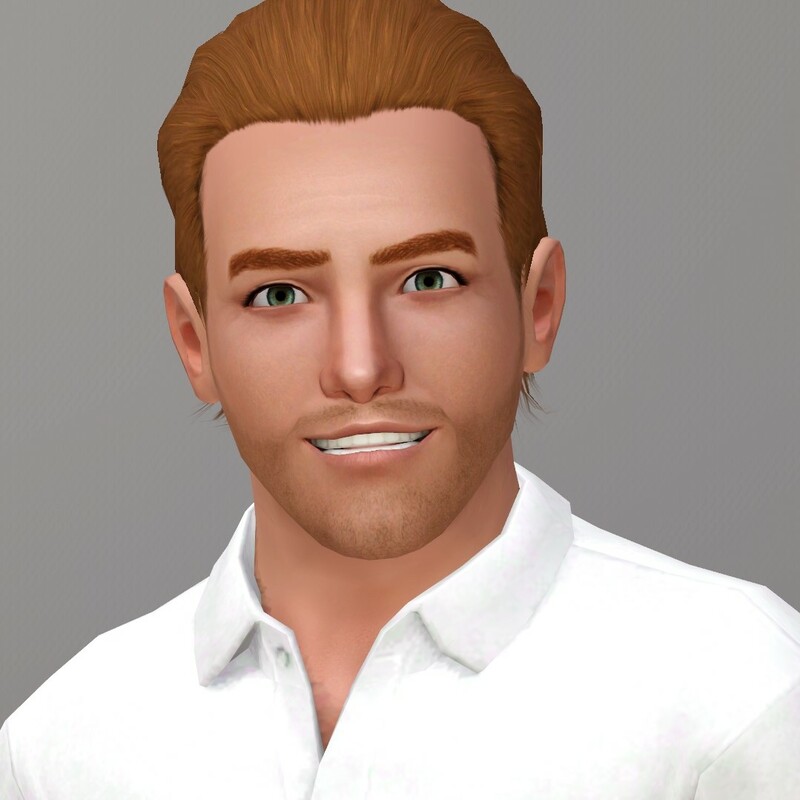 Good looking sim! @Odonata68 Thank you! I totally get the mob vibe, too. 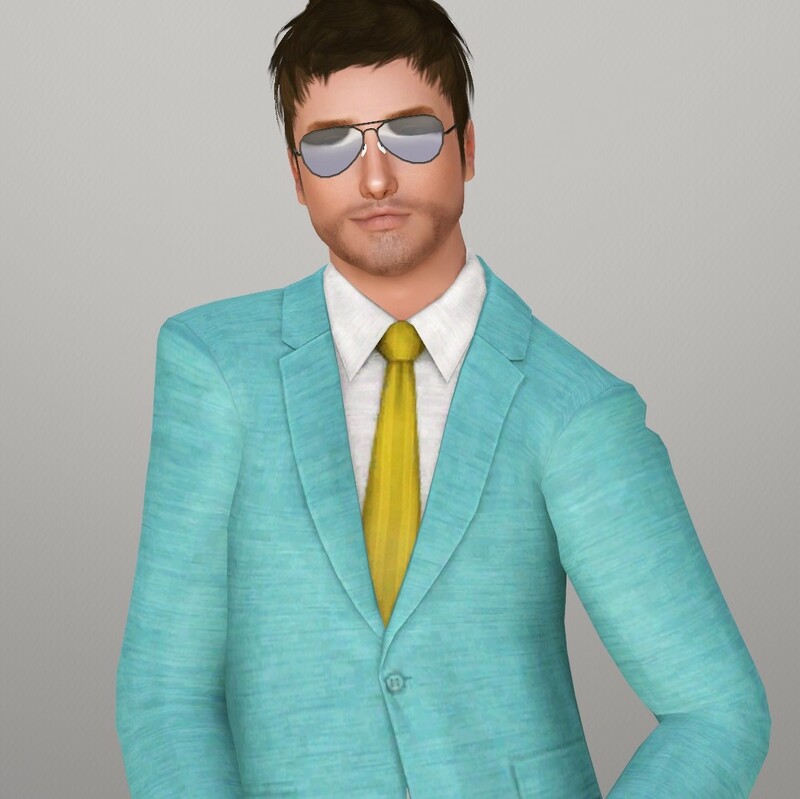 Especially since Dante Costa seems like the "mob boss" with most of his friends also having nefarious LTWs! Great makeover! 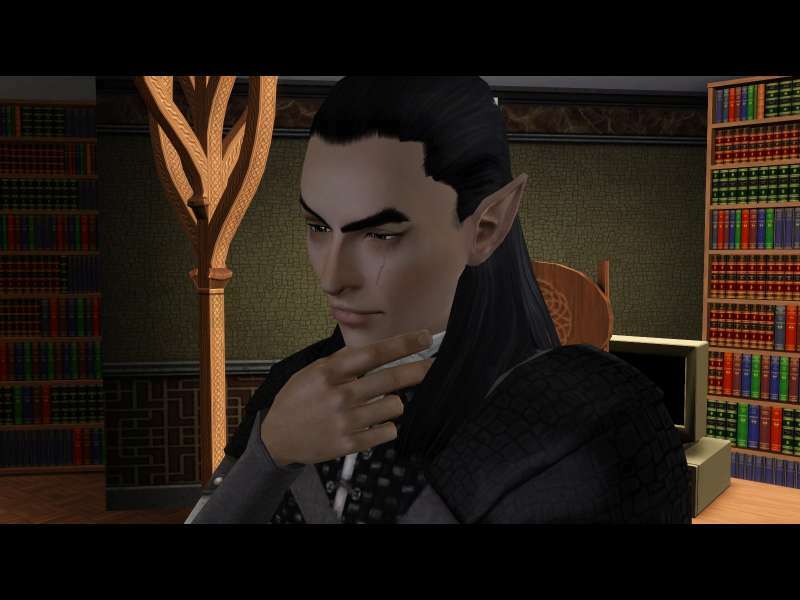 I love Elves! Just another reason I should probably already own Dragon Valley!